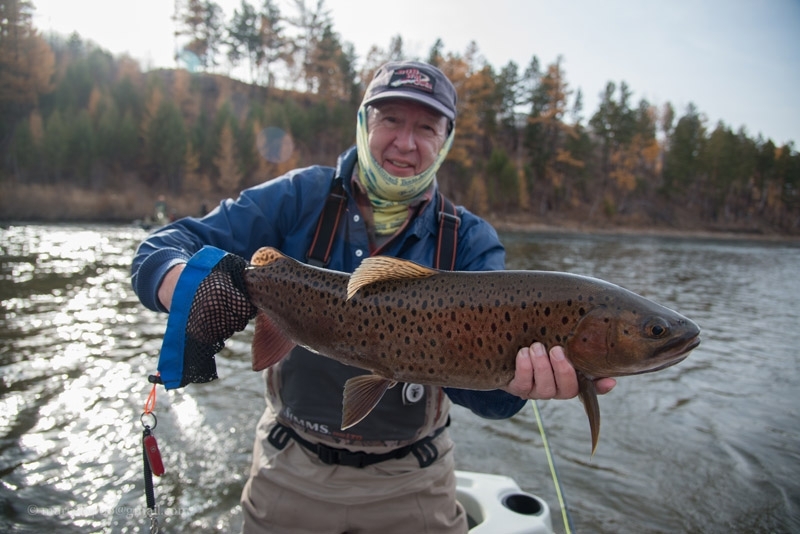 Mongolia River Outfitters provides guided fly fishing adventures for Taimen, Amur trout, and lenok from our private camps located in the Mongolian wilderness. 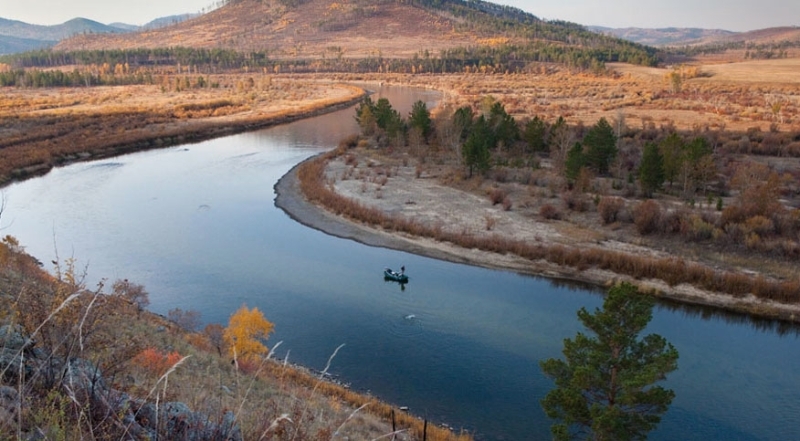 Our access agreements allow us to offer a few guests each autumn nearly two hundred miles of private blue ribbon fly-fishing water. 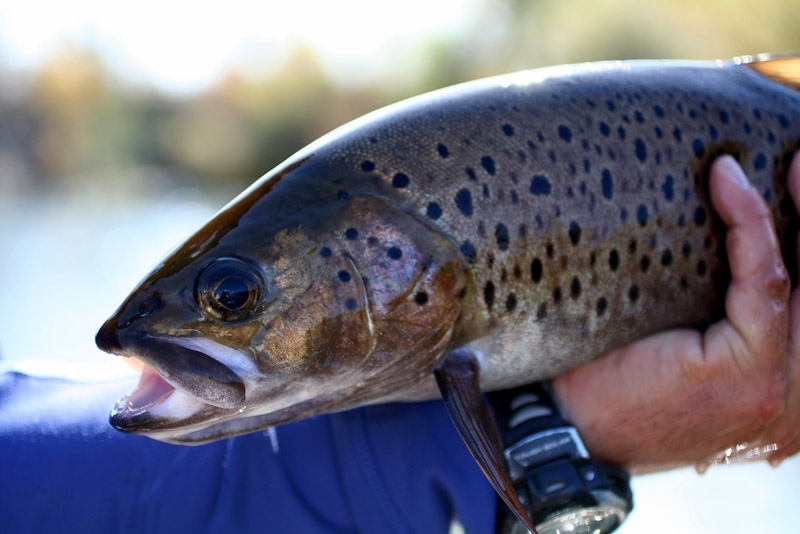 The fishery is exceptionally healthy, with great water quality, species diversity and riparian habitat. 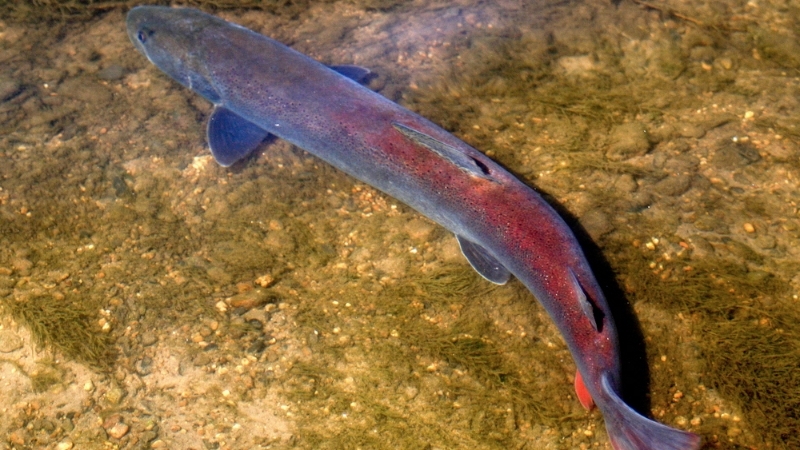 The river supports robust populations of wild Taimen (the world’s largest salmonid), trout, grayling and lenok. 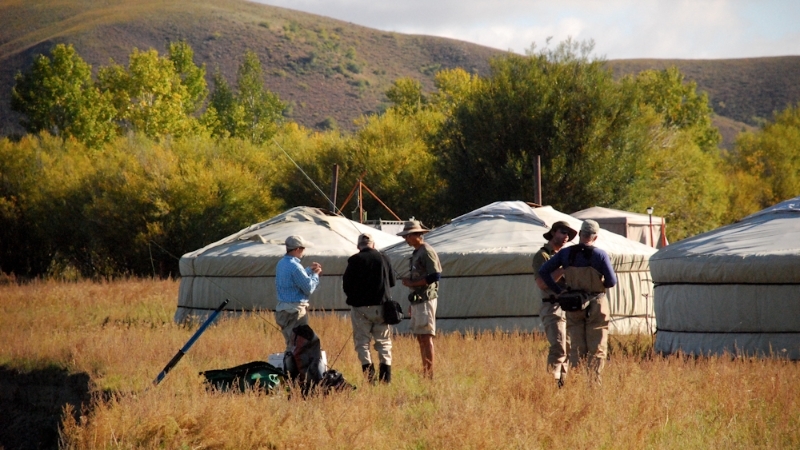 We have run extraordinary Mongolia adventures since 1993 and fly-fishing adventures since 1999. 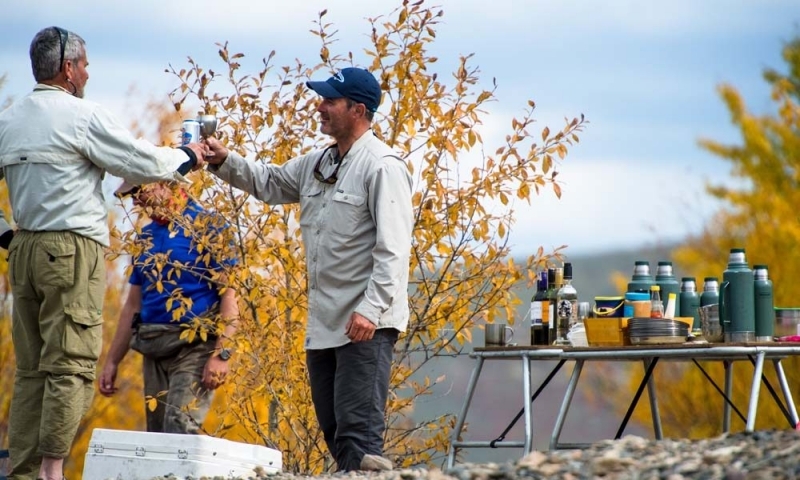 Our highly experienced guides and camp staff are some of the best in the business. Remarkably, the fishing improves every year. 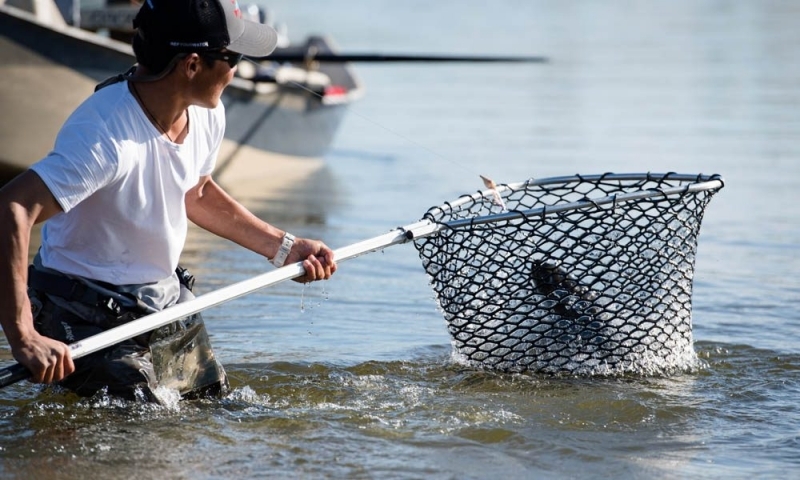 Anglers commonly net more than thirty large trout in a single day, all on a hopper. 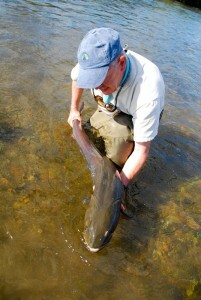 We usually catch and release several hundred taimen each season. 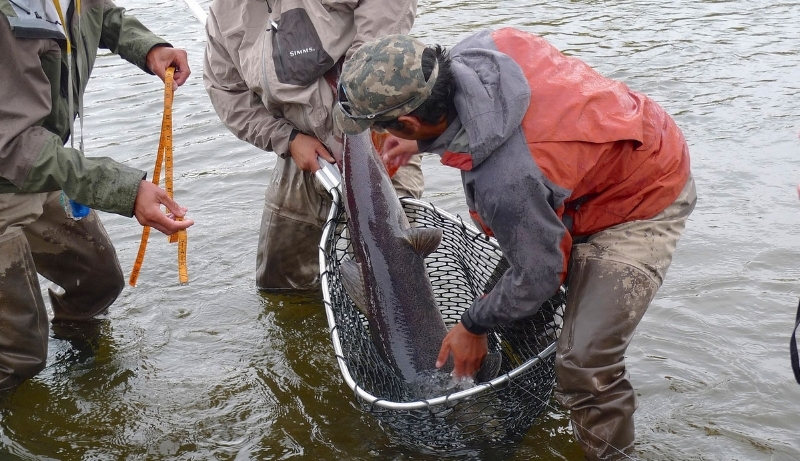 On a typical week, most taimen will measure in the thirty inch range and several will come in over forty inches (1m). Taimen in the fifty to sixty inch bracket (1.5 m) are the river’s largest and most elusive. Catch and Release. 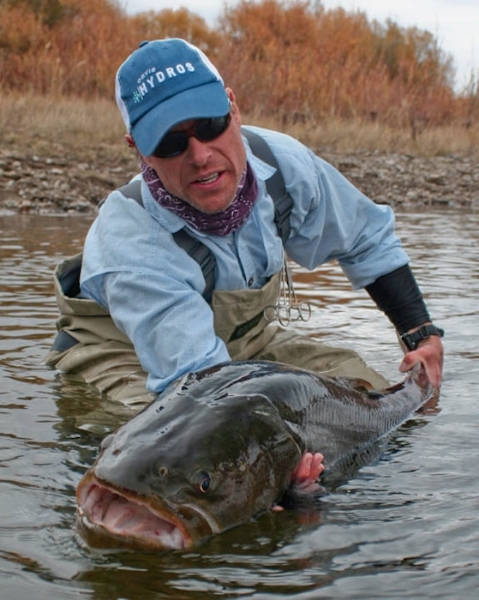 We insist that all clients practice catch and release fly-fishing using only barb-less hooks. 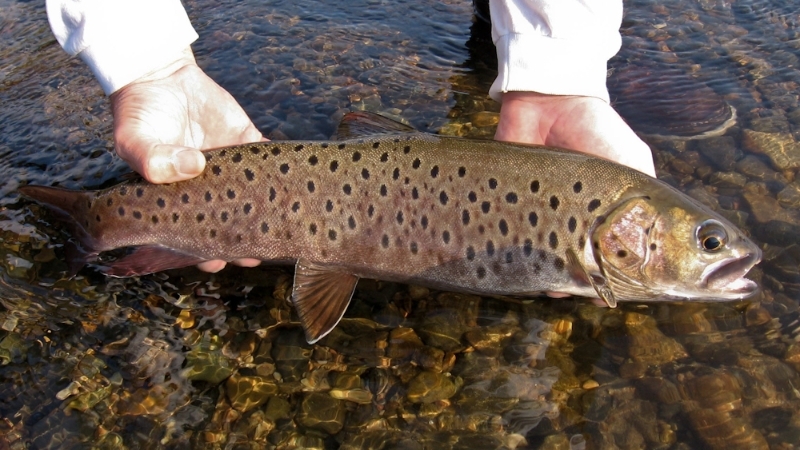 It takes a Taimen approximately seven years to reach sexual maturity. A trophy Taimen may be over twenty-five years old. Respecting these amazing animals is paramount. All four trips (Upper, Lower, Combined, Land and Water) have the same general itinerary. 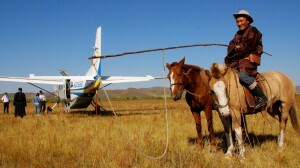 Guests fly into the capital city of Ulaanbaatar, Mongolia. After spending an evening in the capital, clients travel early the next morning to the river. 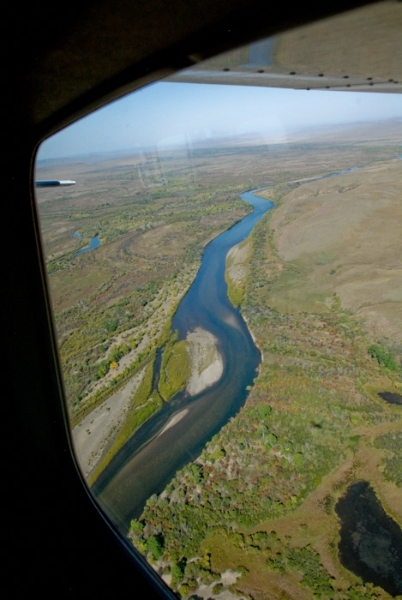 Upper, Lower and Combined guests hop on a chartered Cessna Caravan for a 75 – 90 minute flight to the river. Land and Water guests travel by four-wheel drive vehicle to the river. 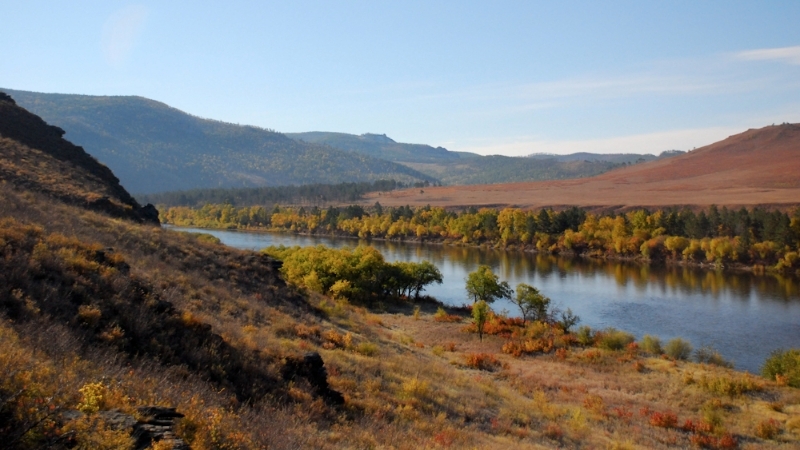 The drive to the river takes 8 – 11 hours, depending upon road conditions. 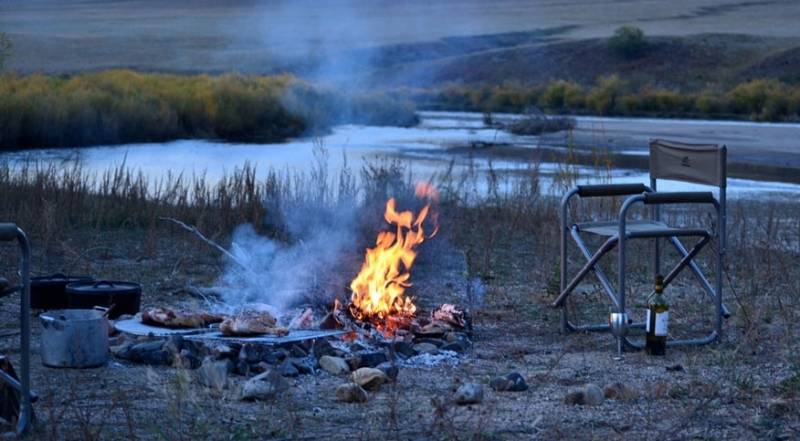 The upper river trips include six days fishing and link floats between our six comfortable ger camps. 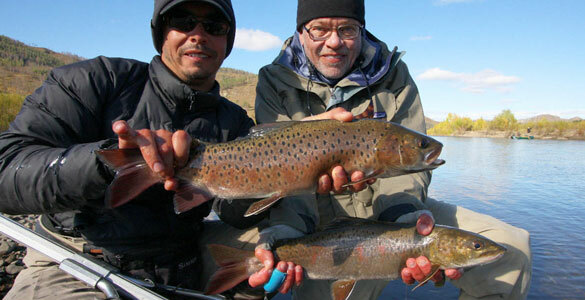 The lower river fishes for seven days and links floats between a combination of ger camps and adventure camps. 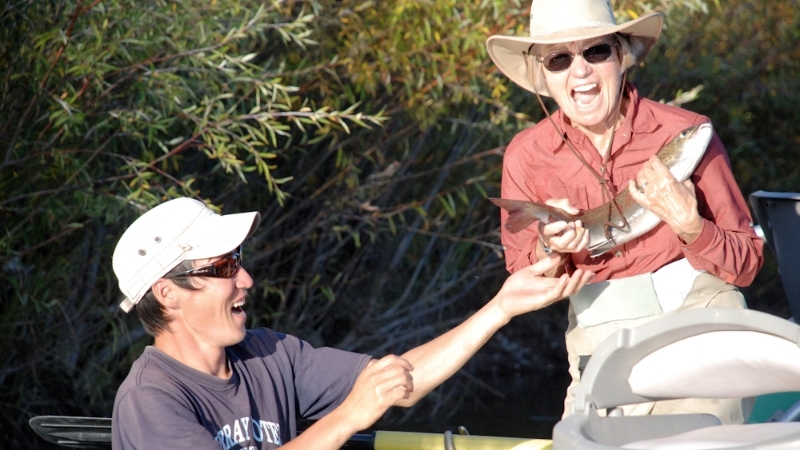 At the end of each river journey, anglers on the upper, lower and/or combined trips fly back to the capital. 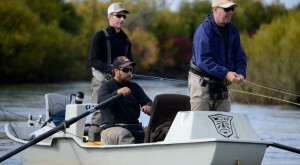 Land and Water anglers drive back. 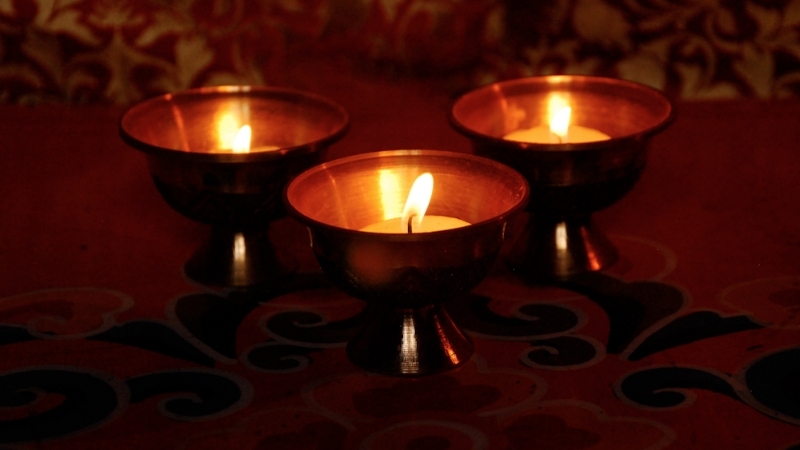 All guests spend a relaxing evening in the capital city before catching an international flight for home. 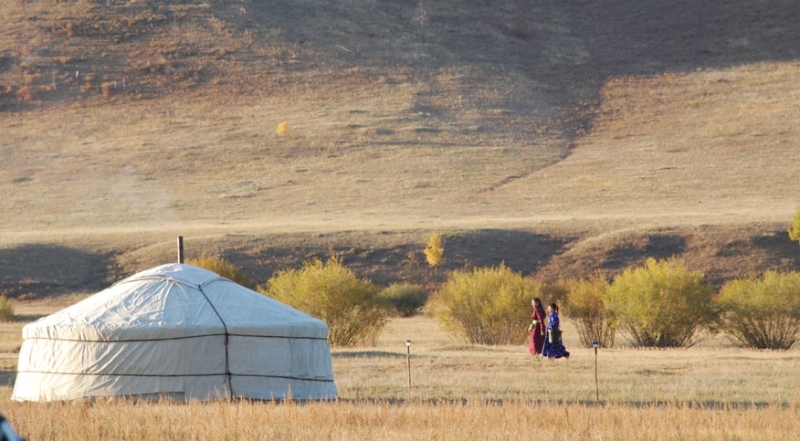 What Makes This Mongolia Trips So Special? 1. 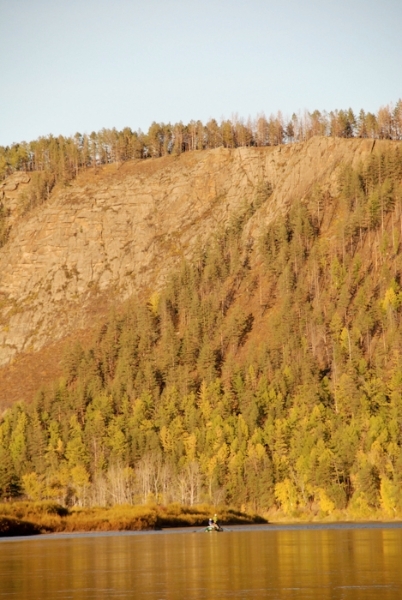 We run trips only during early autumn. 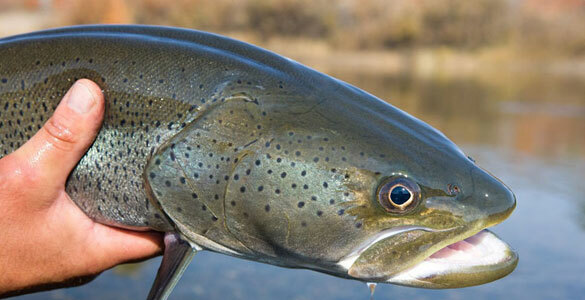 Mongolia’s fishing season officially opens June 15 and the rainy season is July – August. 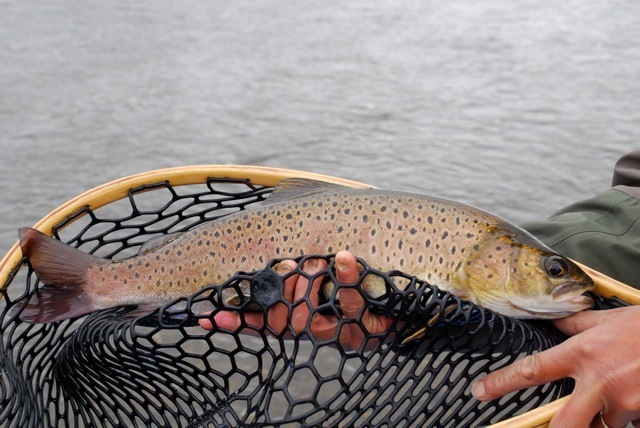 By late August the rivers are clearing and the fishing is peaking. Why risk going 10,000 miles if it is not the peak time? 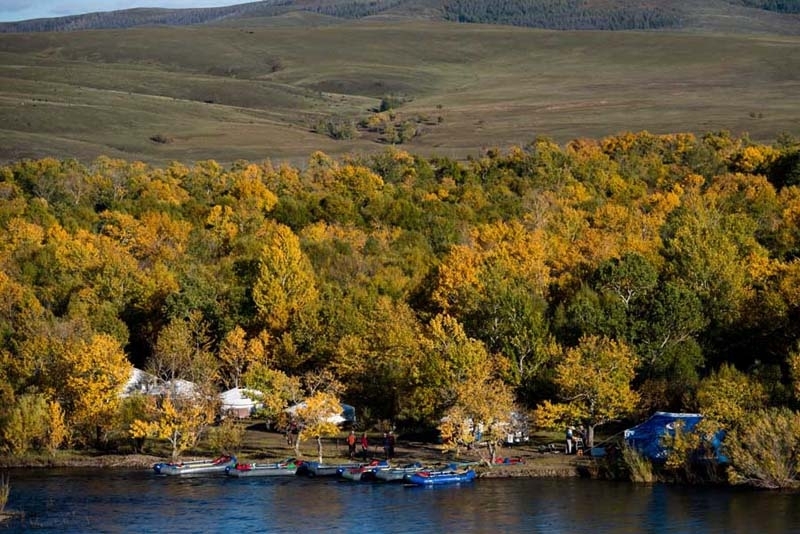 By the end of October, Mongolia is starting to get too cold for fishing. 2. Guides. 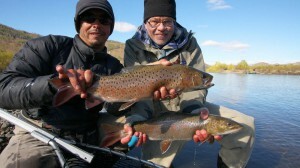 Most of our fly-fishing guides are from the US. 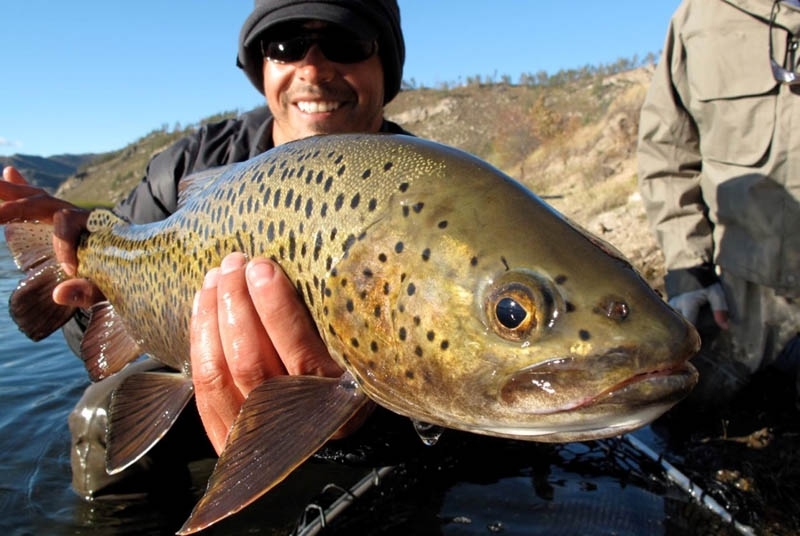 Without question, they are some of the finest professionals in the business… intelligent, fun and enthusiastic anglers who absolutely love these waters. 4. No Shuttles. 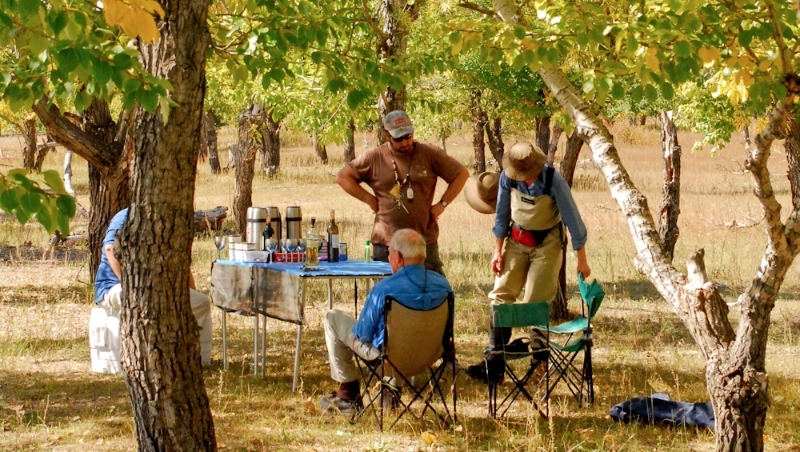 Each season we establish a series of fully equipped ger camps along the stream. 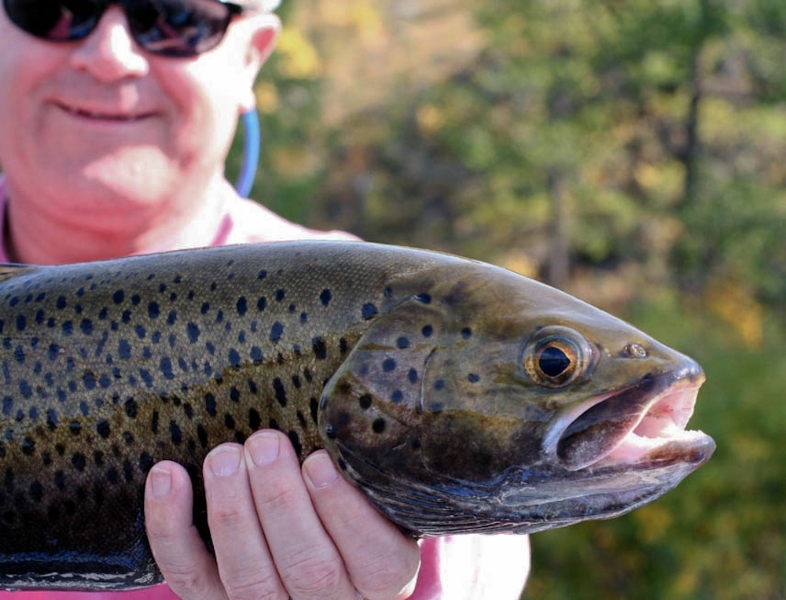 Our “no shuttle” schedule means your time on the river is maximized with new water and fresh fish all day, every day. 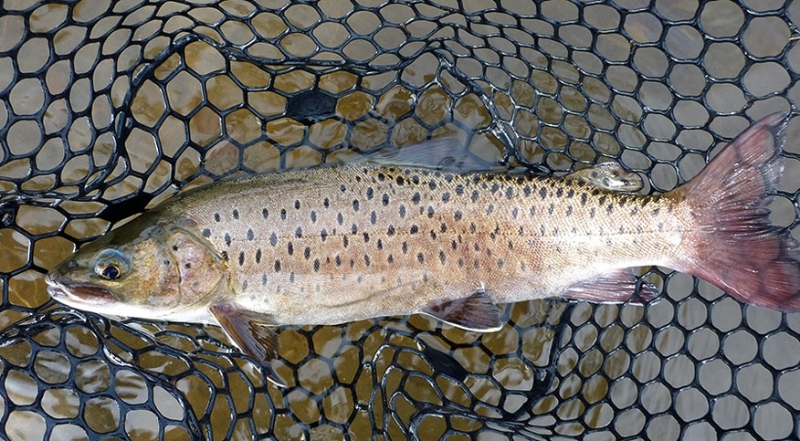 You don’t waste mornings and evenings (the peak Taimen fishing periods) driving up and down stream. You wake up in the morning, eat breakfast, get into a boat and start fishing right where you left off the evening before. 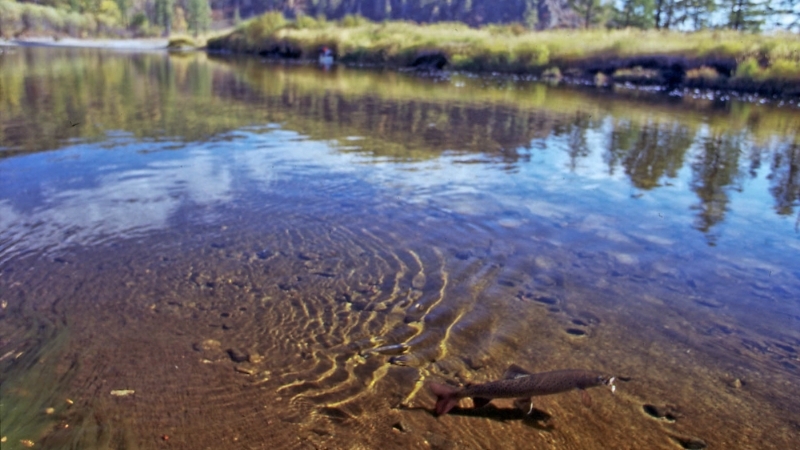 While your luggage and other personal items are transported overland, you’re fishing a fresh stretch of water. 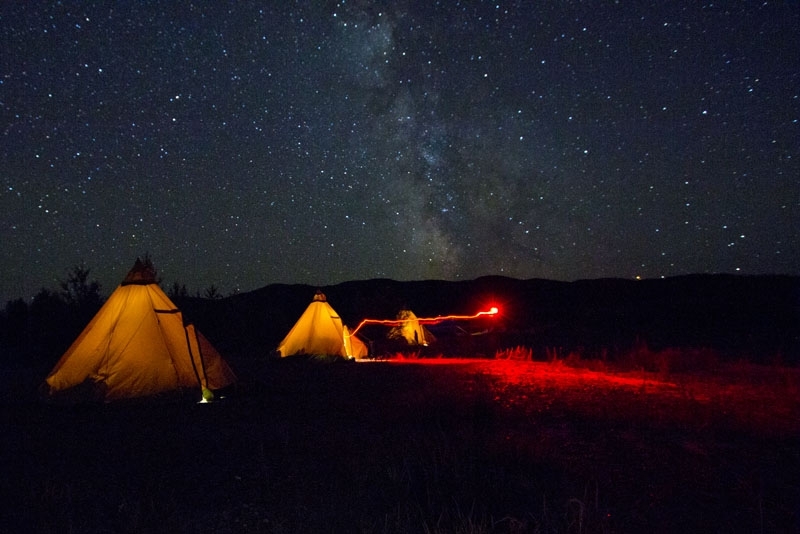 In the evening when you float into the next ger camp, the fires are lit, our camp staff has dinner prepared, and your luggage is waiting in your fully outfitted ger. 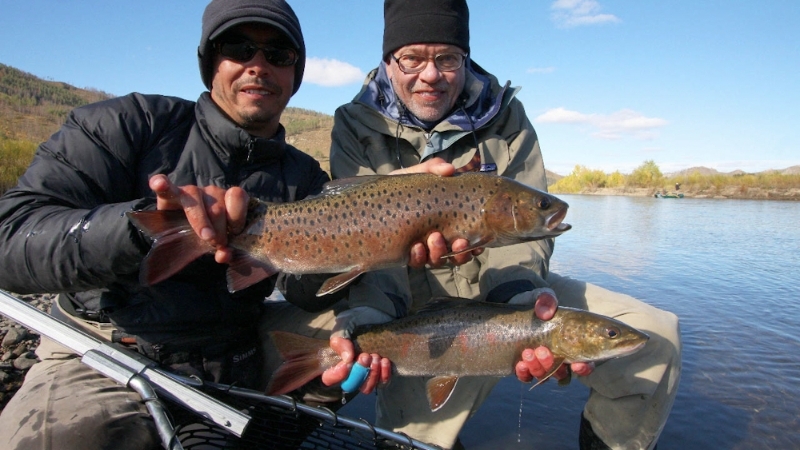 5.Angler Numbers: We have a weekly rod limit of 6 persons. 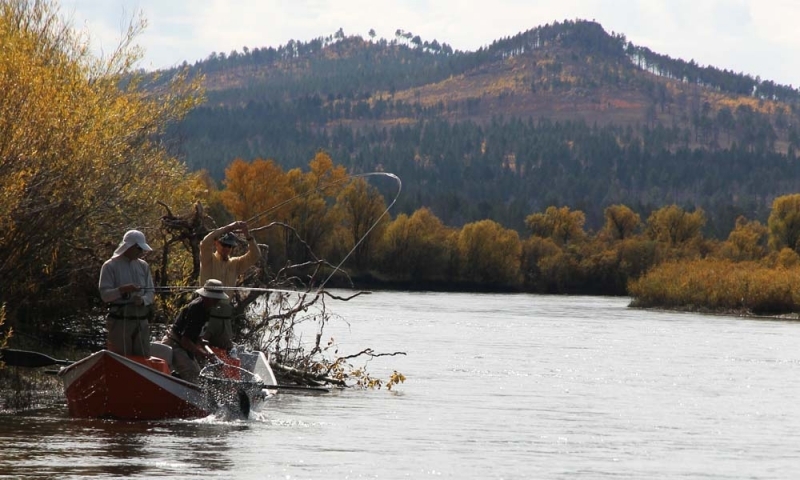 With over one hundred miles of river to fish every season, this is truly a unique and private experience. 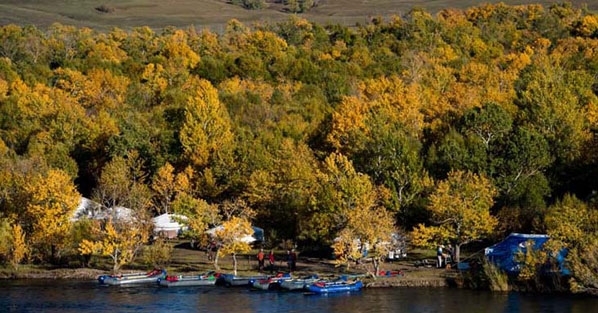 Every year, we establish a string of camps along the river. 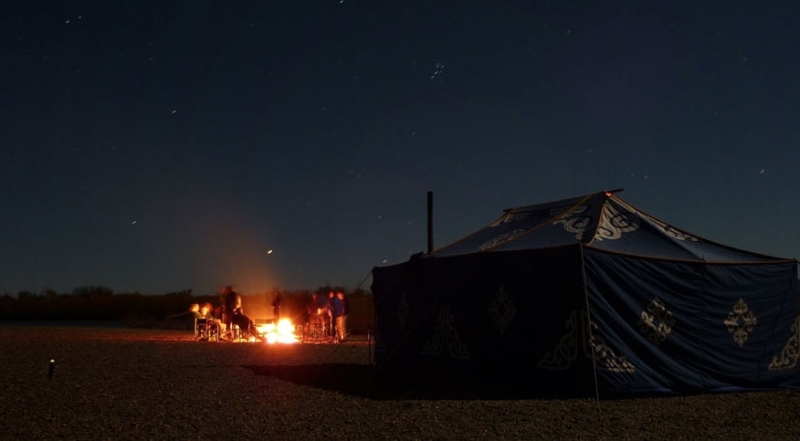 Each camp is rustic but very comfortable, much like being on an African tented safari. 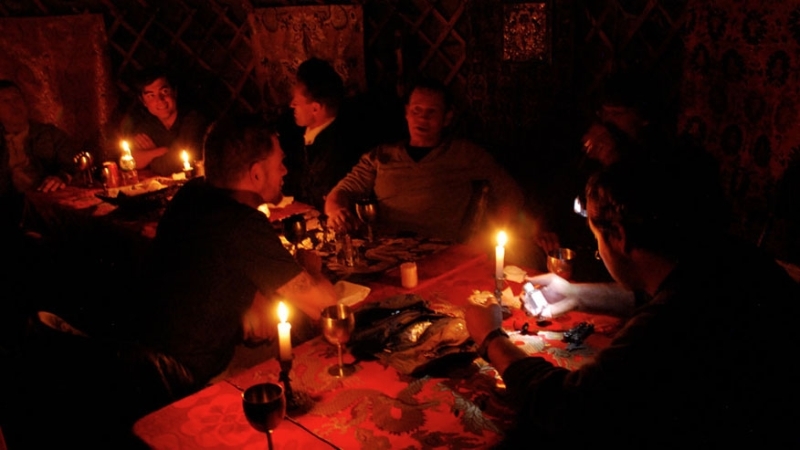 The ger camps on the upper river are a bit more luxurious with a central dining ger and sleeping gers, linens, and wood burning stoves. The showers are in a separate structure and are hot! 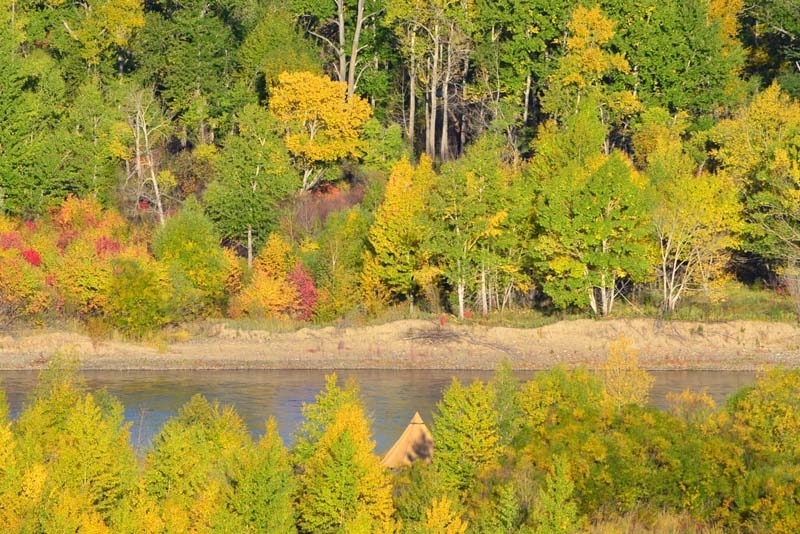 The terrain on the lower river dictates the use of Alaska style tented camps. Those of you who have been to Alaska with me will feel right at home. 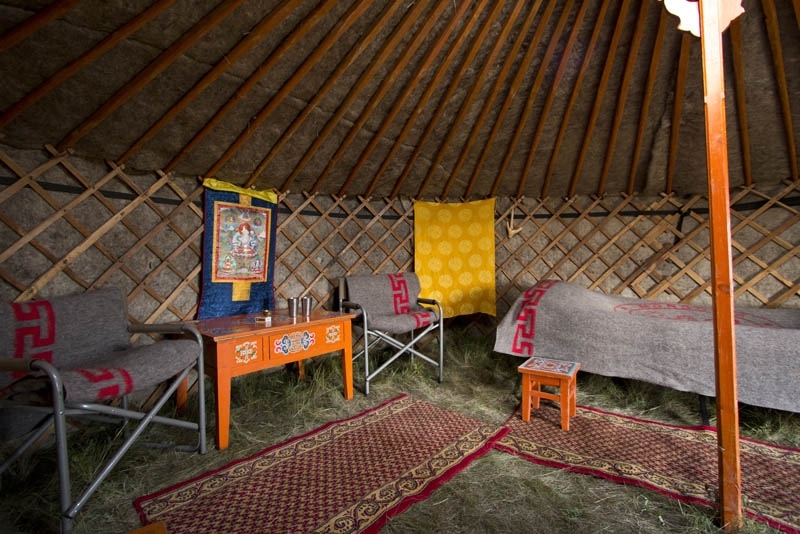 In addition to the sleeping tents there is a spacious, insulated wall-tent with a wood-burning stove for socializing and sharing meals. 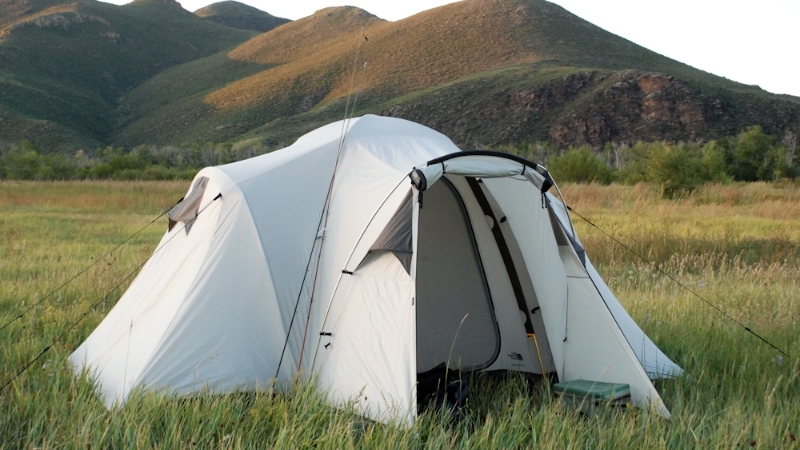 The 6 foot peak height tents and sleeping cots creates an easy to move comfortable shelter. All of the camps have simple hot shower facilities. On the upper river, guests are accommodated in traditional Mongolian gers (yurts). 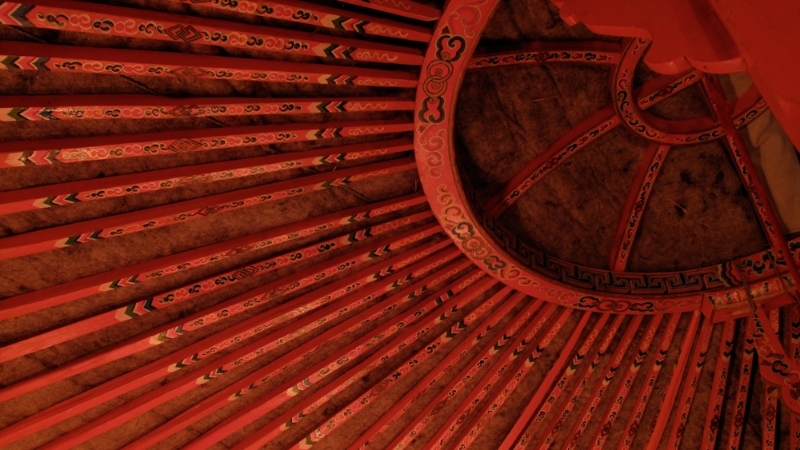 These spacious, dome shaped structures are constructed with a wooden frame insulated by layers of felt and weatherproof canvas. Inside, each ger is the size of a large bedroom. 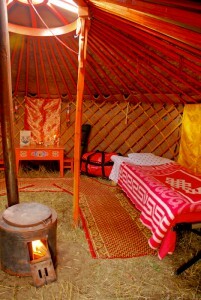 They are completed with table and chairs, a cozy wood-burning stove, and two beds with linens and plenty of blankets. There is a large, central ger for meals and socializing. Bathroom facilities are ex-suite, the showers are hot, and the stars seem close enough to touch. Camp Staff. 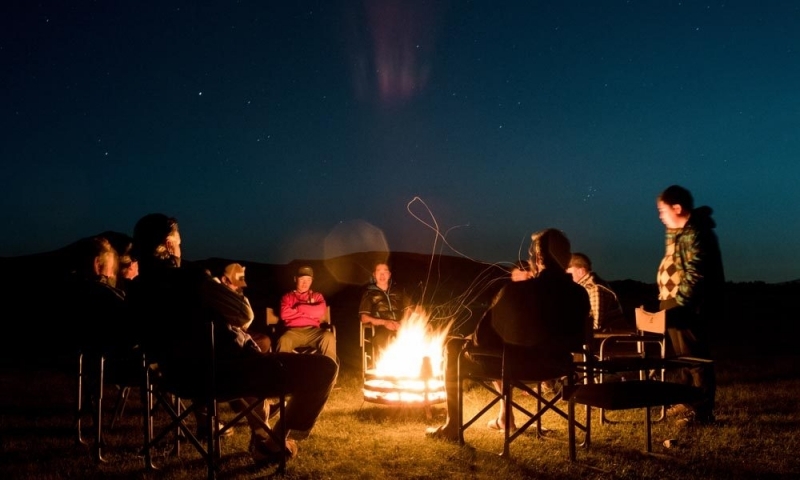 Our camp staff delivers exceptional, friendly, informed service with the objective of making the wilderness experience a relaxing pleasure. 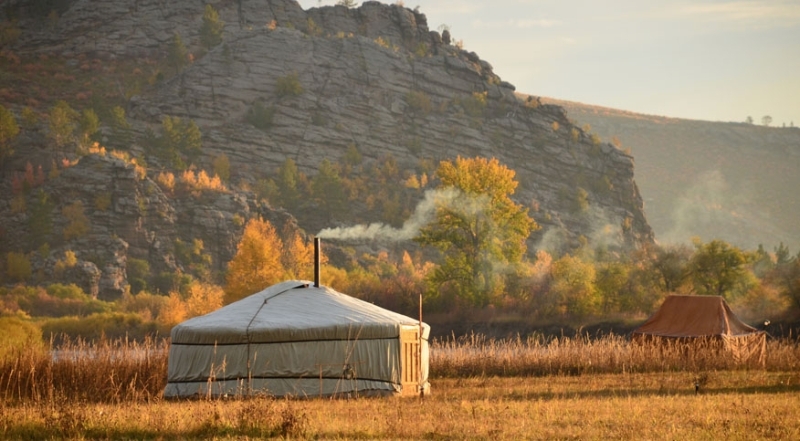 We’re proud that most clients describe their experiences with our staff as one of the highlights of their Mongolian adventure. Food. 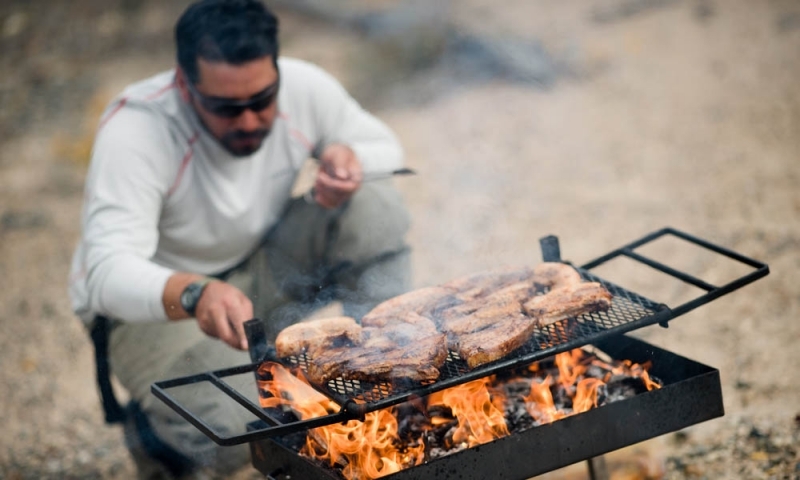 We like to eat and drink well and our cooks are up to the challenge. They create hearty meals perfectly suited to western tastes. 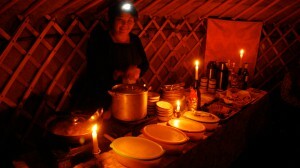 Breakfasts and dinners are served in the camp dining ger. Lunches are served streamside. Catering for individual diet requirements is generally no problem at all. Beer, wine, and soft drinks are inclusive. 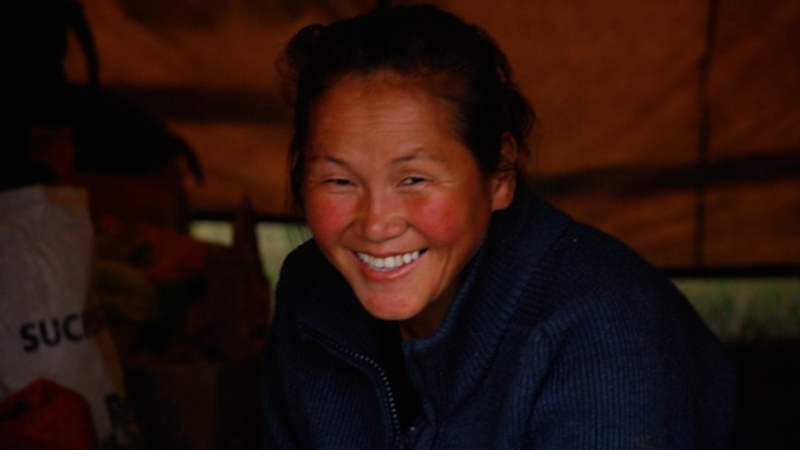 Bogi, everyone’s favorite cook, has been with us for nearly a decade. We like to eat and drink well and she’s up to the challenge. The food is fresh, diverse and very well suited to Western tastes. The coffee is usually hot, the beer cold and the wine very palatable! The resident Buryat people are famous for their homemade bread, butter and blueberry jam. Lunches are served streamside. Catering for individual diet requirements is generally no problem at all. 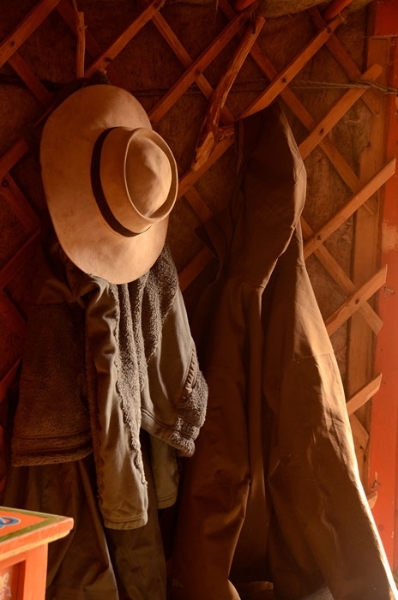 Mongolia reminds many folks of the American West before dams, ubiquitous paved roads, and barbed wire fences came along. 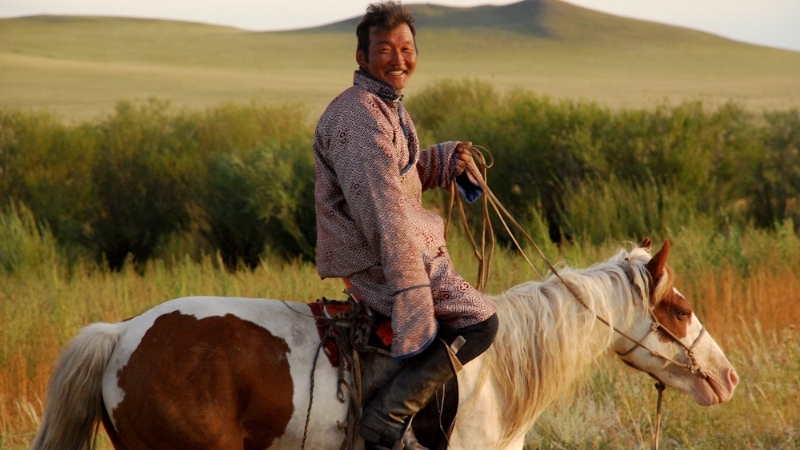 Mongolians continue to make the most of this unfettered landscape, still following a unique nomadic, horse-riding lifestyle with deep, Tibetan Buddhist roots and a serious respect for nature. 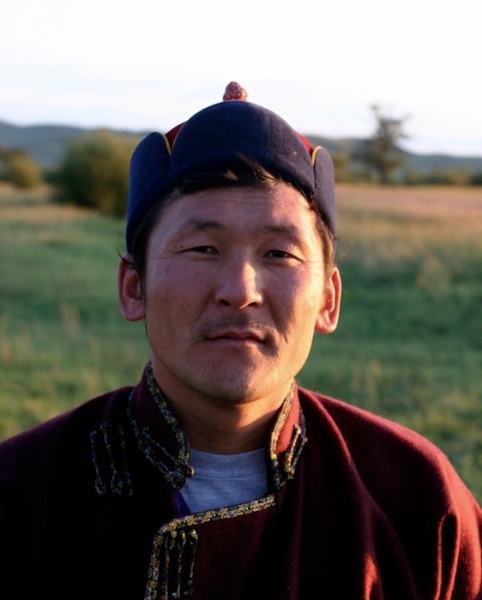 Mongolian culture venerates hospitality and the camp staff is no exception. They are wonderful, hard-working, fun, and highly attentive folks. You’ll have a great time getting to know them and they will make your visit memorable. This is a stream designed for fly-fishing. 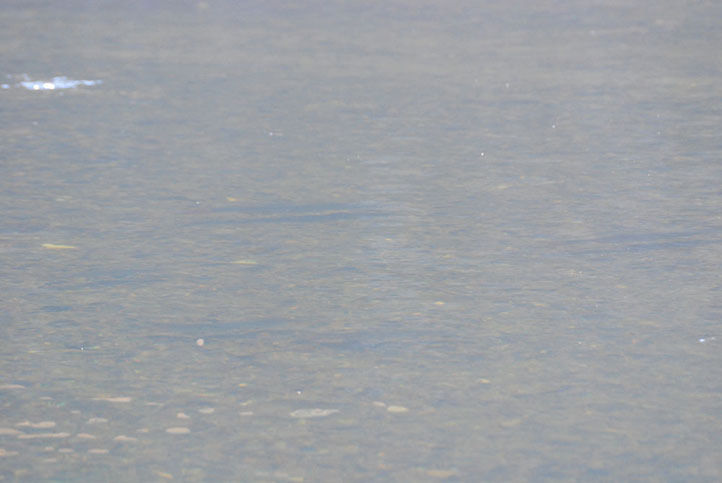 The fishery is exceptionally healthy, with great water quality, species diversity and riparian habitat. 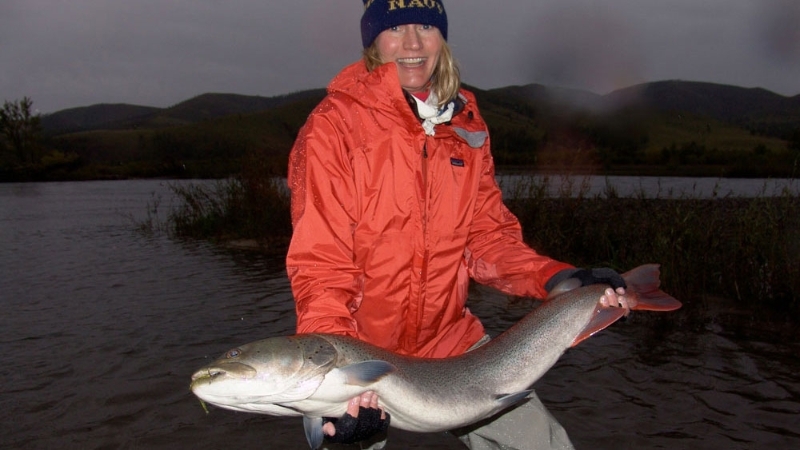 It is very common for us to sight fish for taimen, trout and lenok. 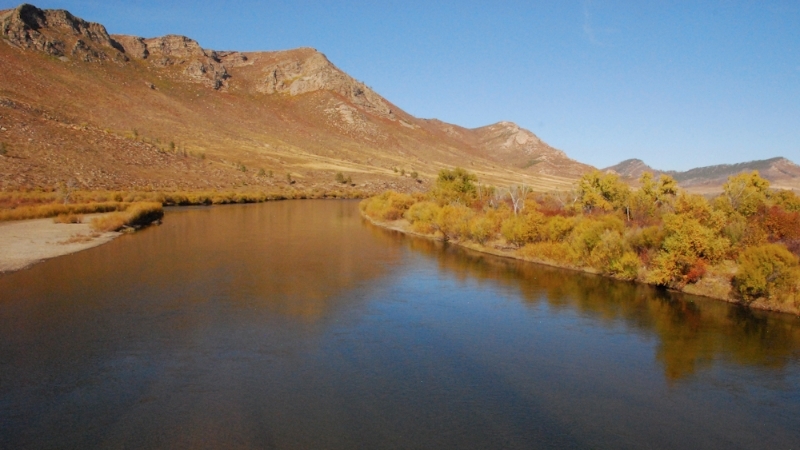 The river flows through dramatic, sparsely populated and highly varied landscapes. 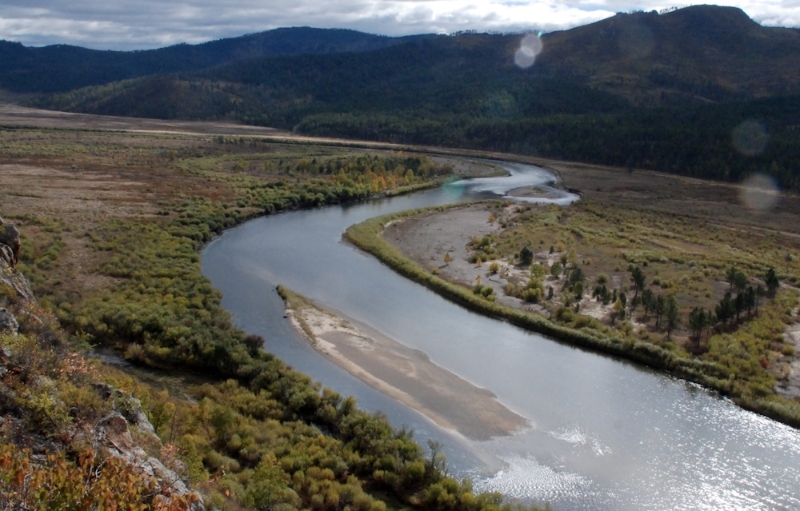 The lower river is more rugged, isolated and holds more water than the upper sections. 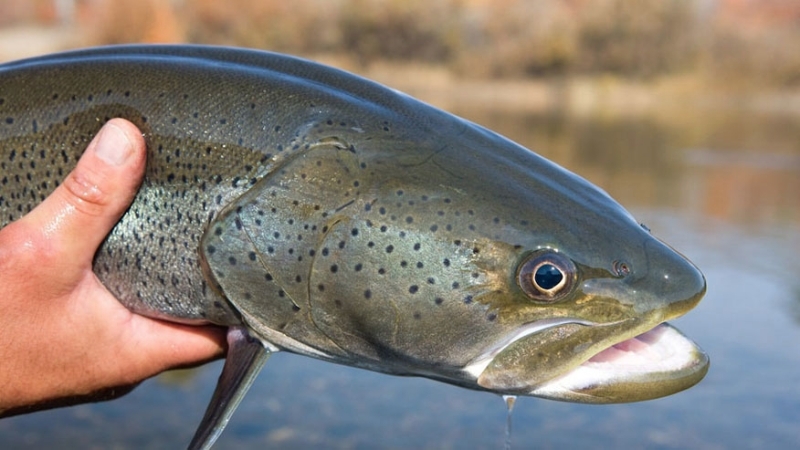 The upper and lower sections fish equally well with perhaps slightly better trout fishing on the upper and marginally better taimen fishing on the lower. The scenery is striking on both sections. 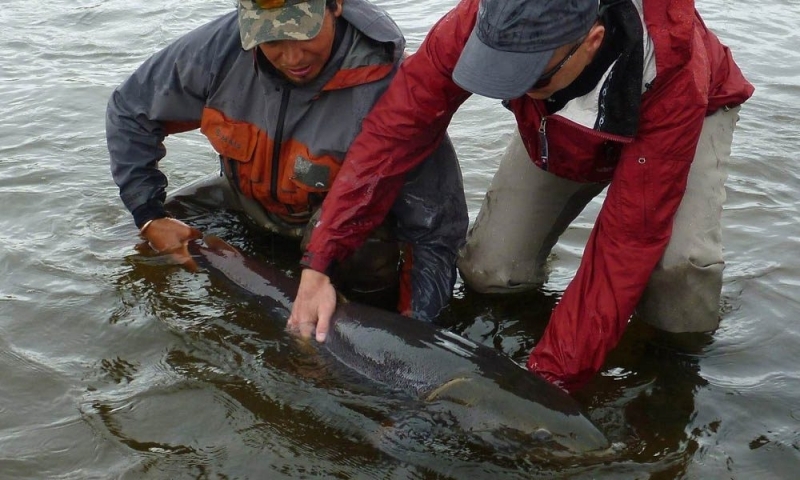 Conserving the River: Mongolia River Outfitters was established in the late 1990’s for the specific purpose of catalyzing taimen conservation. 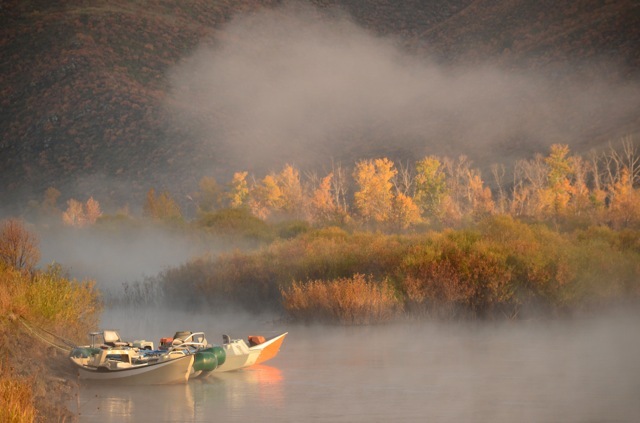 Our prime concern is maintaining this amazing fishery and the associated cultural and wilderness values. knowing this you can support this conservation with your investment in one fo the trips. 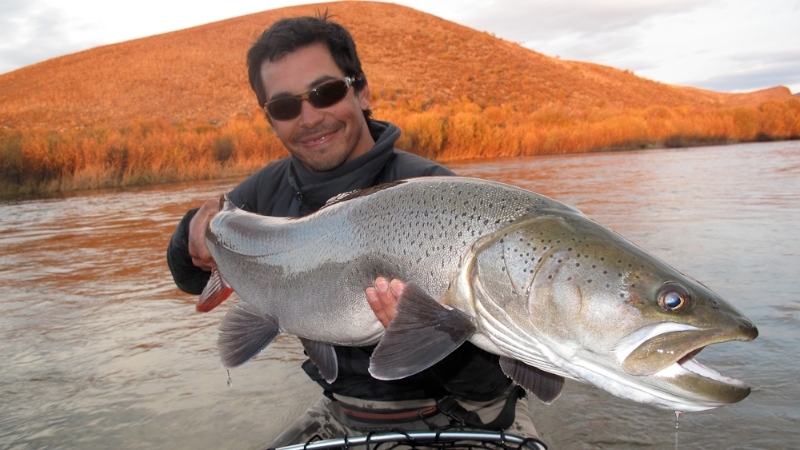 Taimen (Hucho hucho taimen) are the world’s largest salmonid. In Mongolia, these top-tier predators will live for more than fifty years and reach lengths of over sixty inches. 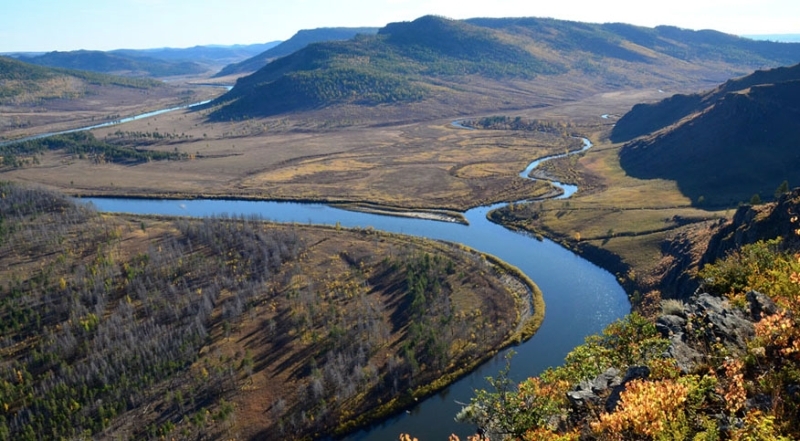 They once inhabited healthy rivers from Europe to Hokkaido, but taimen became isolated and rare as over-harvest and river degradation slowly devastated populations. 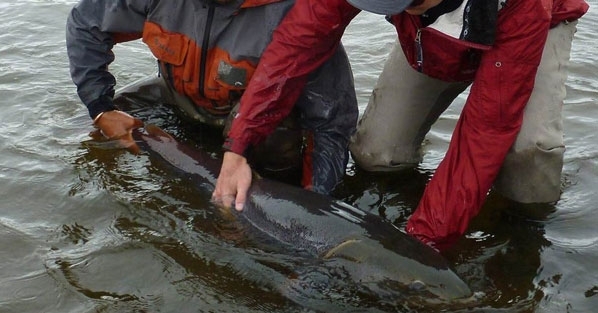 The remote waters we fish became one of the species’ few remaining strongholds. 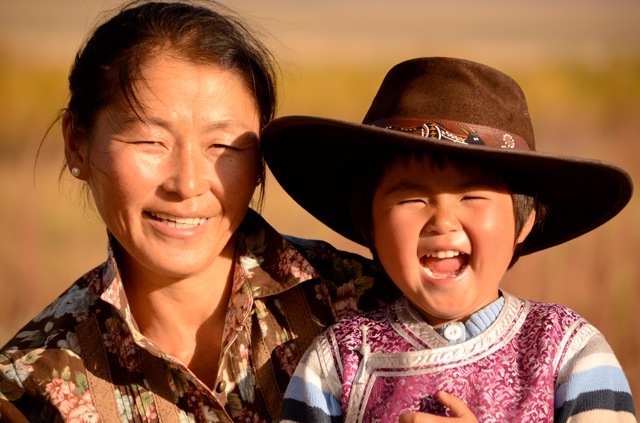 Because of the efforts of many concerned persons and organizations, these waters remain some of Mongolia’s healthiest and most productive. 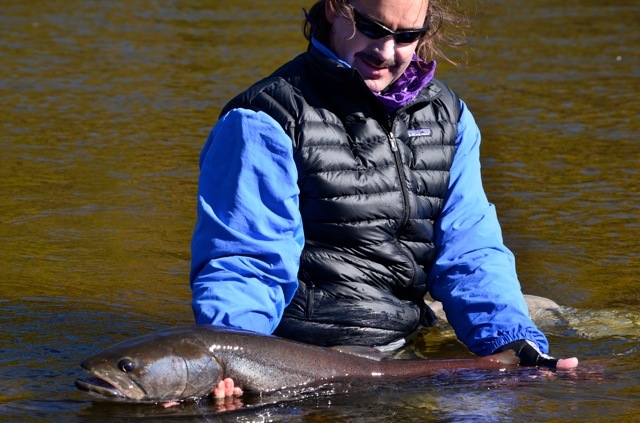 The fishing for taimen, lenok, and trout is spectacularly good with very little angling pressure. 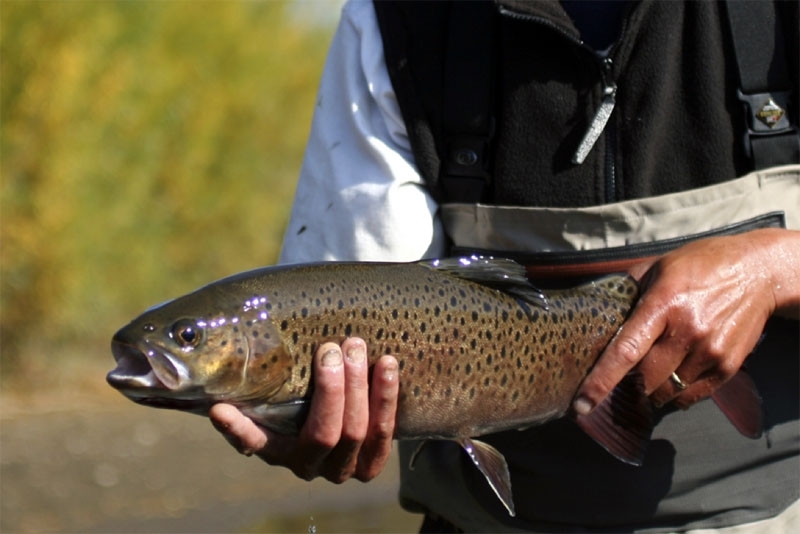 The Taimen Sanctuary established with the support of MRO has become a global conservation model, showing that limited fly-fishing by just a few responsible international anglers can trigger improved fishery management. Taimen: The stream’s most famous residents are the gigantic Taimen (Hucho taimen). 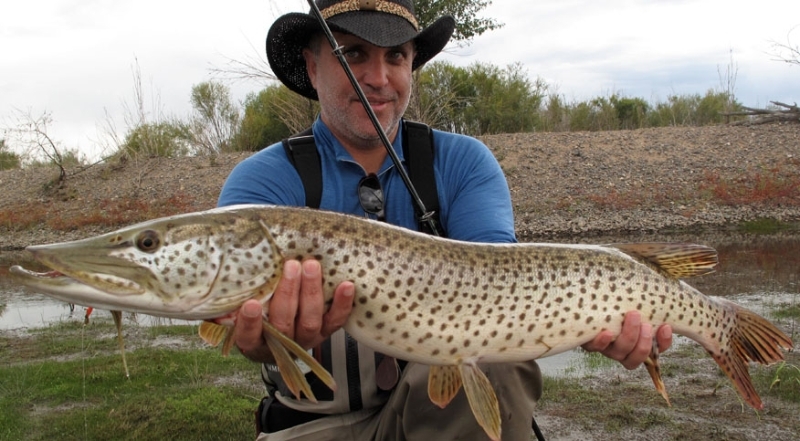 Taimen have bragging rights as the world’s largest member of the Salmonidae family. 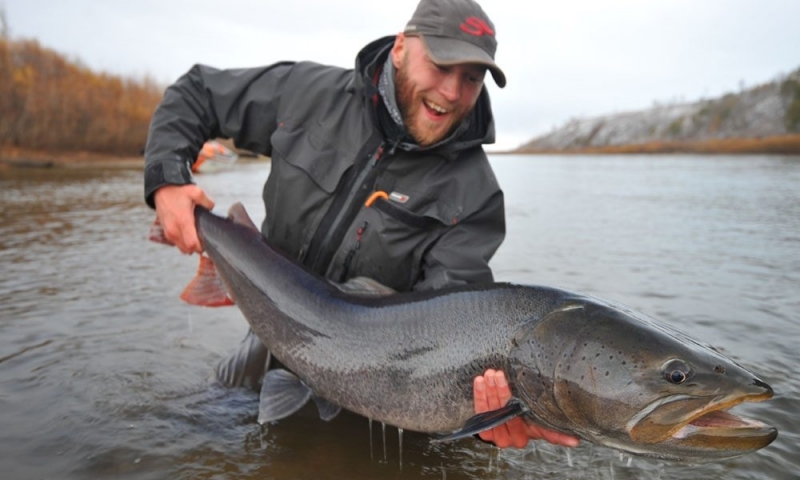 In Mongolia, Taimen will typically average 80 – 100 cm (over three feet) and we regularly encounter monsters that approach 150 cm (fifty inches or more). 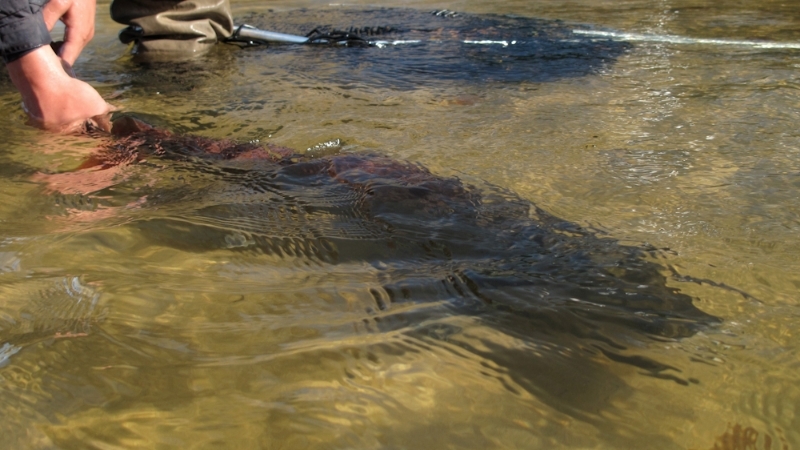 Watching a forty-inch fish explode out of a gin-clear stream to take your dry fly is truly a life altering experience! This ancient animal was once found from Eastern Europe to Northern Japan. 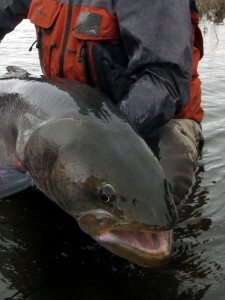 However, Taimen are a sensitive species requiring the purest of ecological systems. 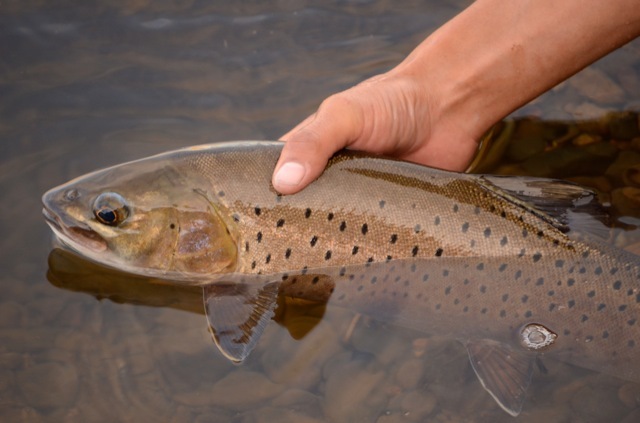 Now healthy Taimen populations occur only in Mongolia and even here they are only plentiful in a few pristine river systems. 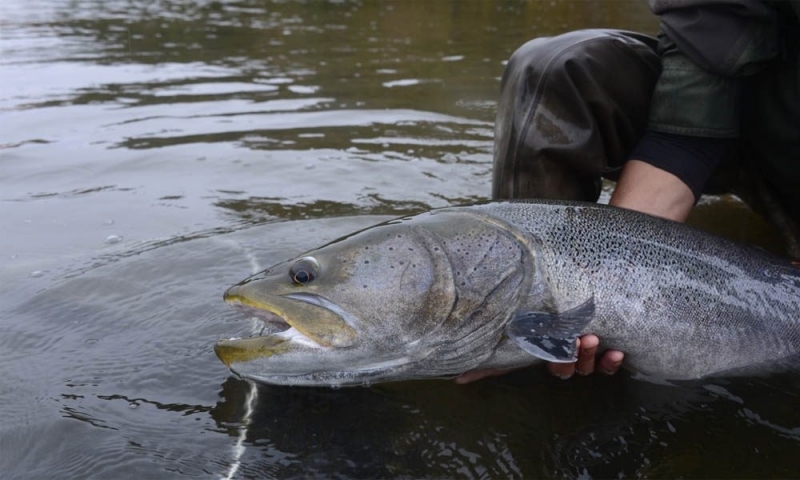 Taimen fishing is challenging. 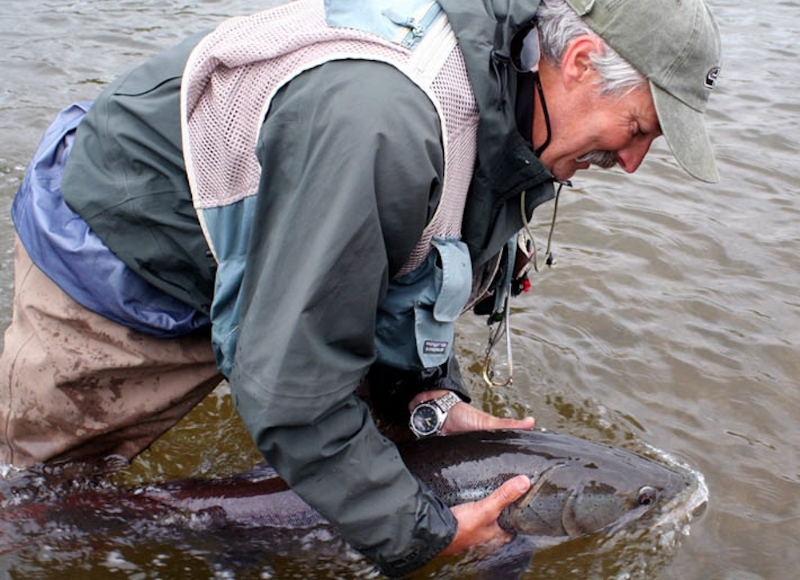 Compare it to fishing for steelhead. 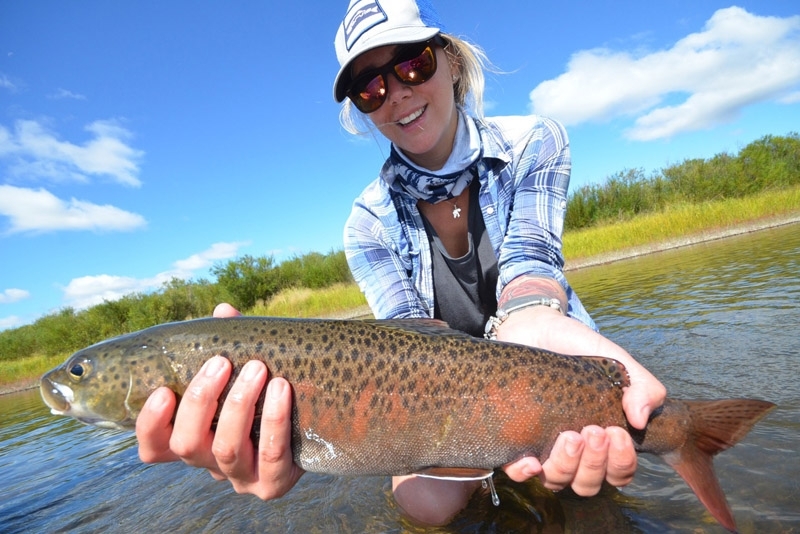 You’ll see plenty of big fish and while several clients have hooked more than six good-sized fish in a single day, anglers can realistically expect to hook at least one Taimen daily. 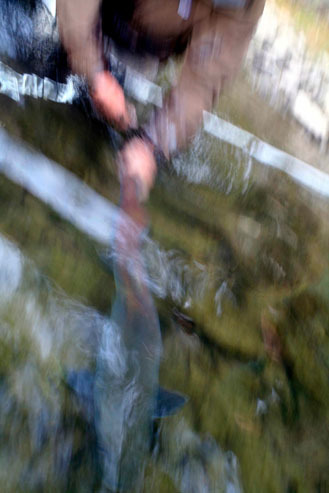 Lenok: The streams produce phenomenal numbers of trout and lenok. 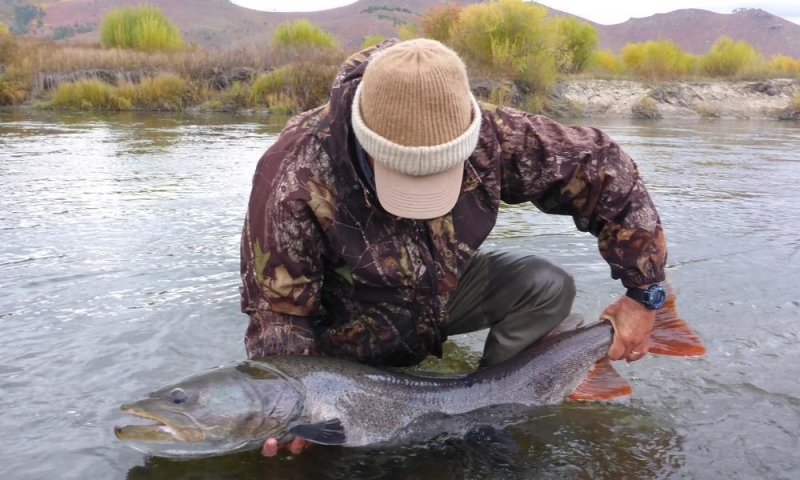 Clients frequently describe MRO trips as the best trout fishing they have experienced anywhere in the world… better than Kamchatka, Montana, New Zealand, or South America. On a fine dry-fly day, a decent angler may easily catch well over twenty good sized fish.he Lenok (Brachymystax lenok) are awesome fun. 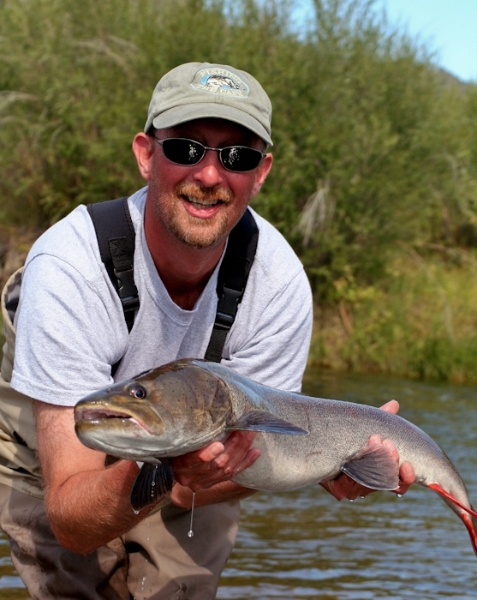 They are another endemic distinguished from the trout by their bright red sides and slightly down-turned mouth. 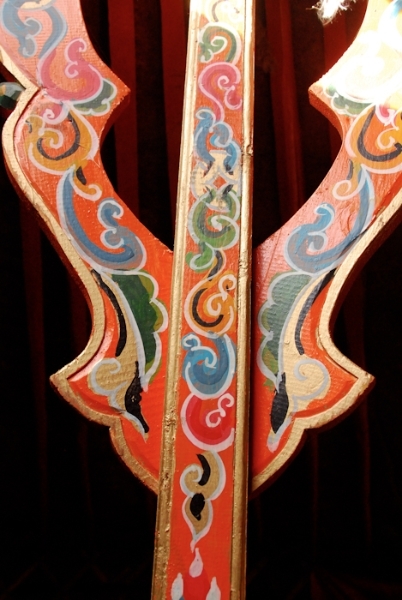 Lenok are found throughout Mongolia. 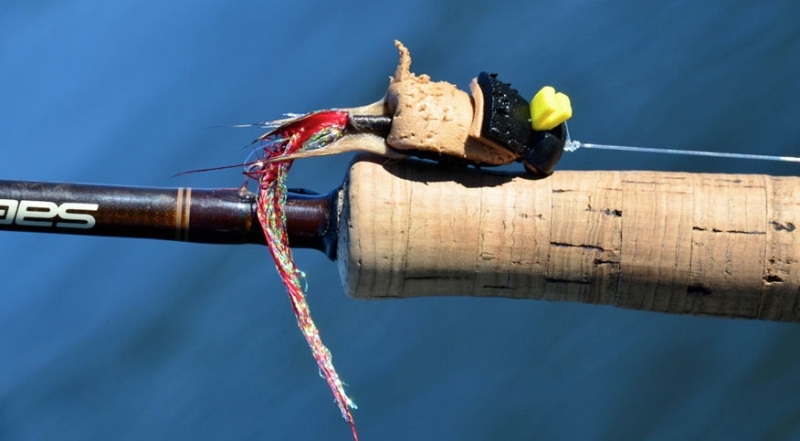 Floating setup needs 9 foot leaders ending in 8-12 pound tippet. 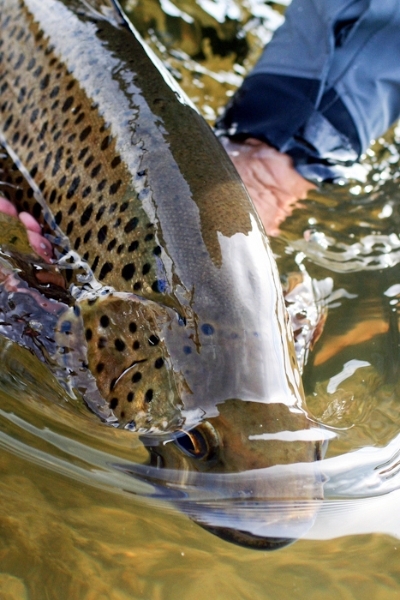 Upper River Adventure: The classic MRO journey. 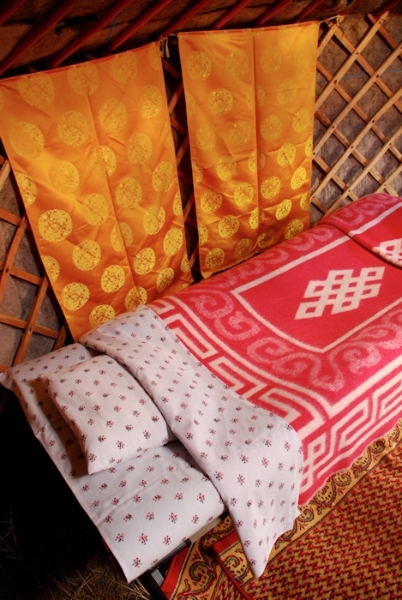 Great comfort in the Mongolian gers. Six days fishing. New beats daily. International level guides. 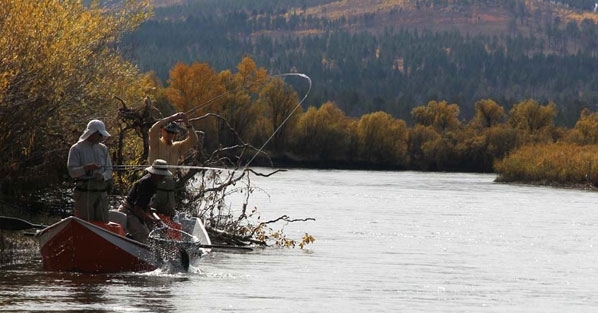 Clackacraft drift boats. 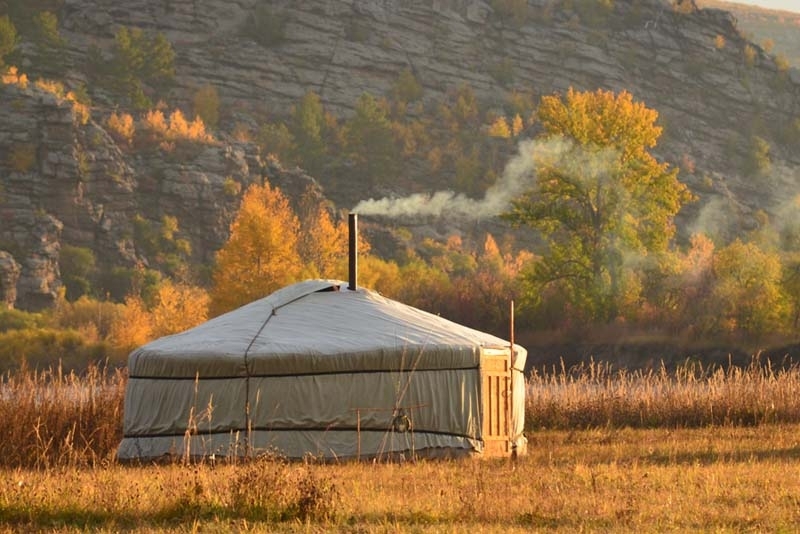 Cozy ger camp accommodation. Vehicle supported. Fly-in/out. 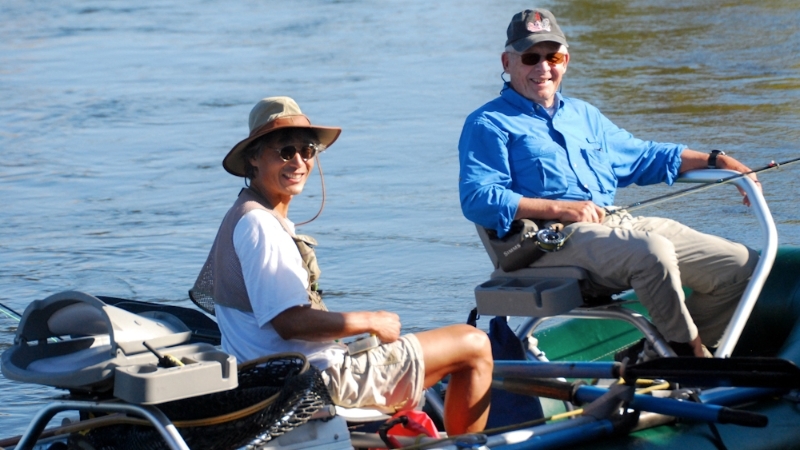 Six to eight anglers per departure. Includes two nights hotel, airport transfers and charter flight to/from river. Day 1: Arrive Ulaanbaatar, overnight in hotel. back to UB. Overnight in hotel. 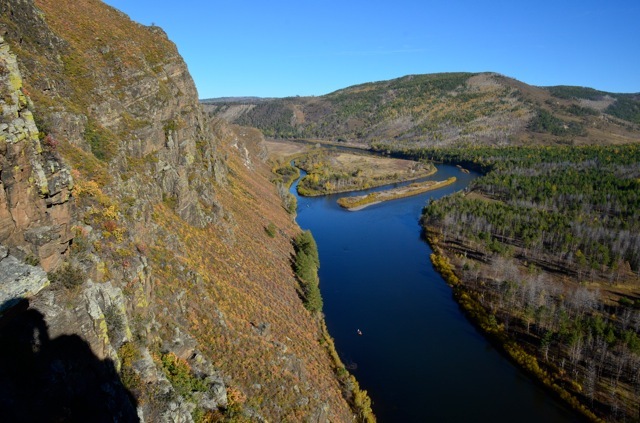 Lower River Expedition: Access a very beautiful and remote stretch of river. Seven days fishing. New beats daily. International level guides. Clackacraft drift boats. Accommodation in cozy ger camp and comfortable tented camps. Boat supported adventure. Fly-in/out. 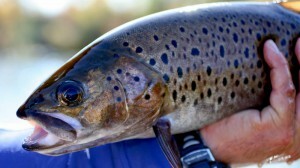 Six to eight anglers per departure. 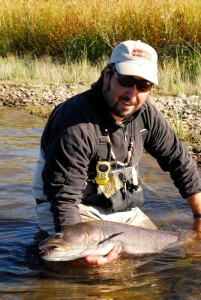 Includes two nights hotel, airport transfers and charter flight to/from river. Cost US$ 6,450 per person. flight to the river. First day of fishing. taimen camps. Last day wade and fish option. 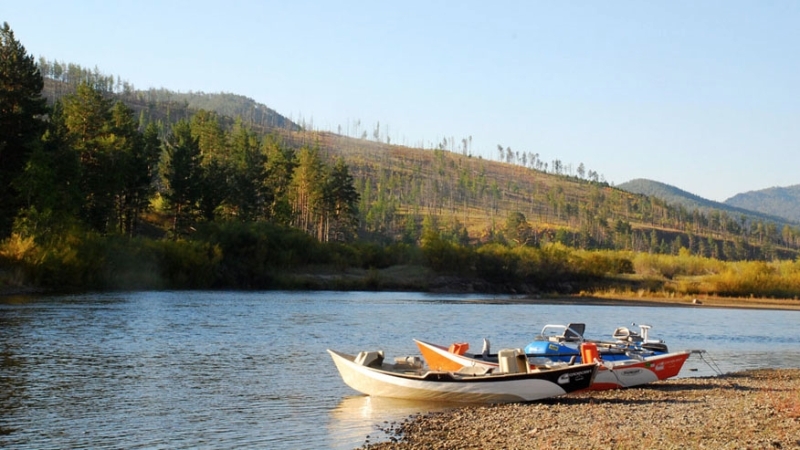 Upper-Lower River Combination Trip: The ultimate Mongolia fishing experience. Start with an upper river adventure. 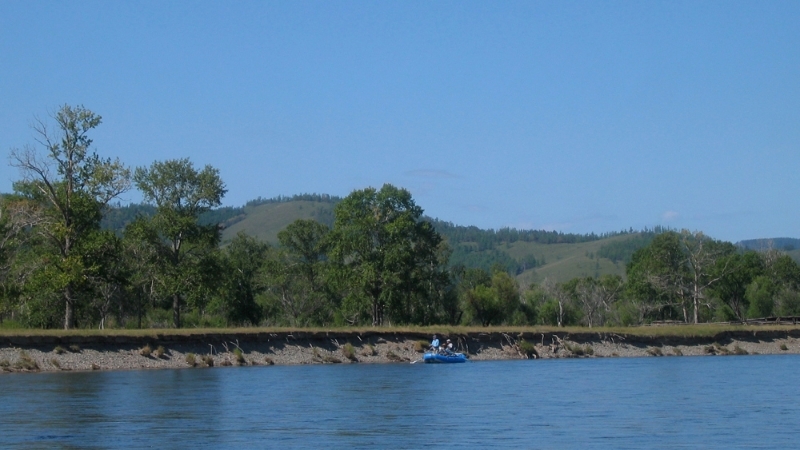 Stay on the river and join a lower river expedition. 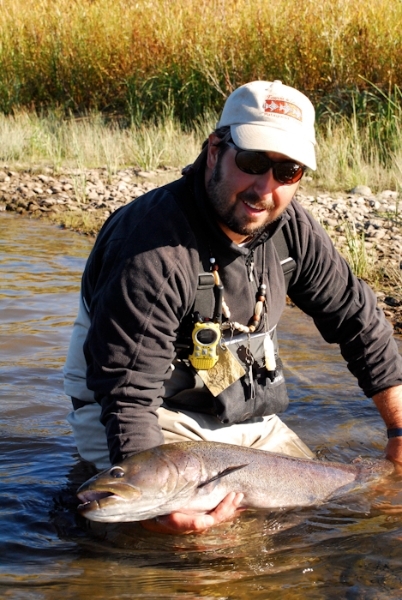 Thirteen continuous fishing days exploring nearly 200 kilometers (120 miles) of amazing water. 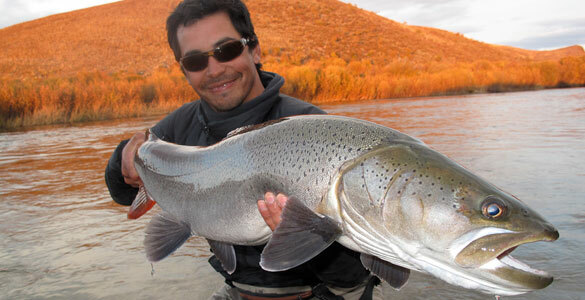 Includes two nights hotel, airport transfers and charter flight to/from river. Cost US$ 10,975 per person. 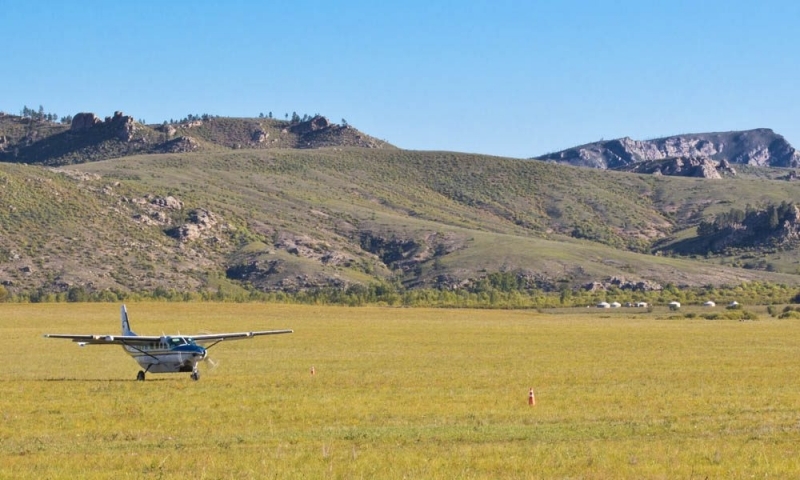 Day 2: Board a chartered Cessna Caravan for the 90-minute flight to the river. First day of fishing. 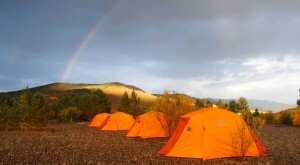 taimen camps. 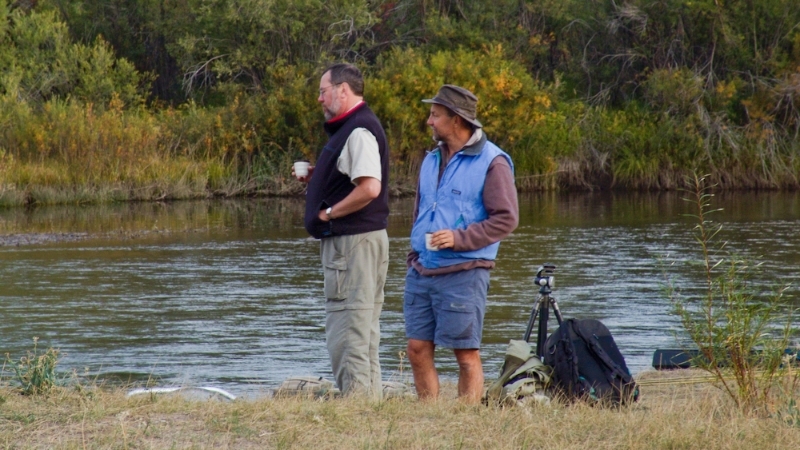 Wade fishing at last camp. Day 17: Chartered Cessna Caravan back to UB. Overnight in hotel. 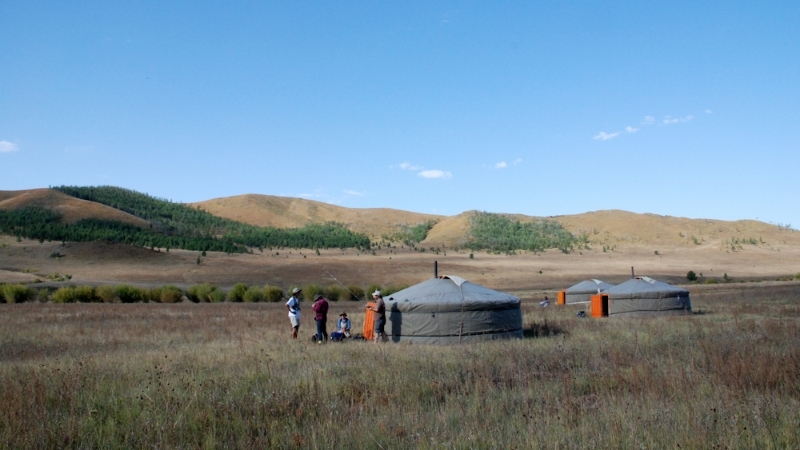 Trips begin and end in Mongolia’s capital city, Ulaanbaatar, known by both locals and tourists as UB. 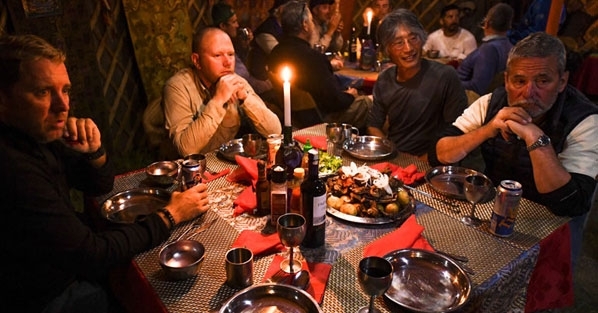 The price includes two nights hotel in UB, airport transfers, transportation to/from the river, fishing permits, guide services, and all meals, lodging, soft drinks, beer, wine, and classic Mongolian vodka at camp. 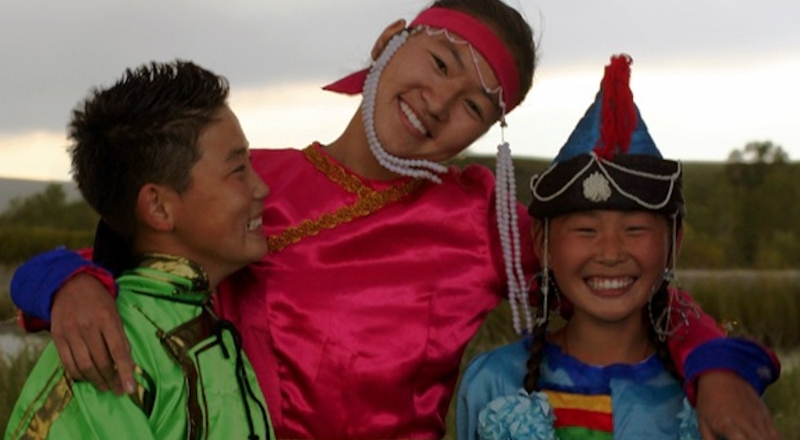 Price does not include international airfare, meals and drinks in UB, and gratuities. Prices are based upon double occupancy. Prices quoted are per person and in US dollars. 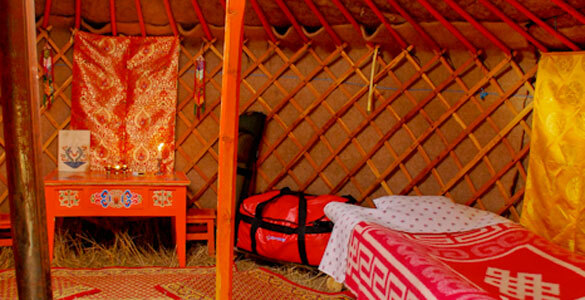 Prices do not include: international airfare, meals/drinks in UB, and gratuities. 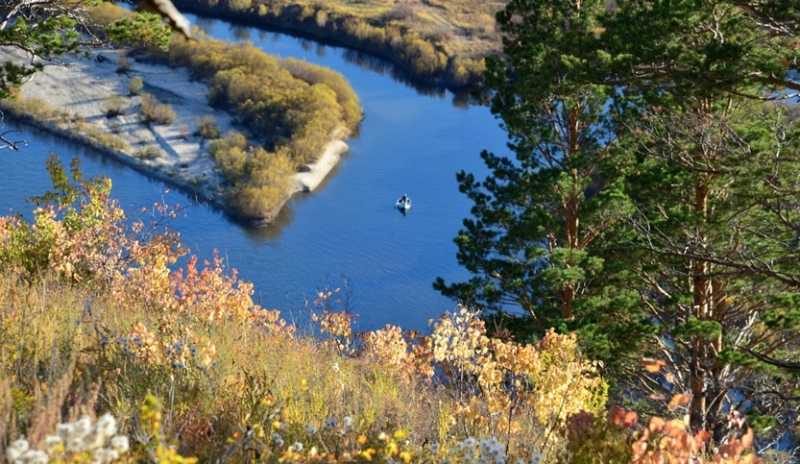 Dates: We run trips only during early autumn. 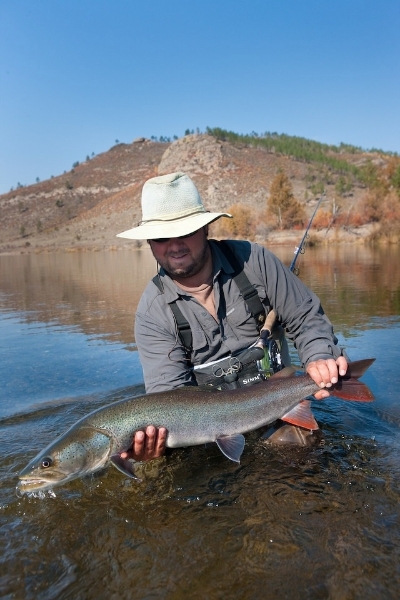 Mongolia’s fishing season officially opens June 15 and the rainy season is July – August. 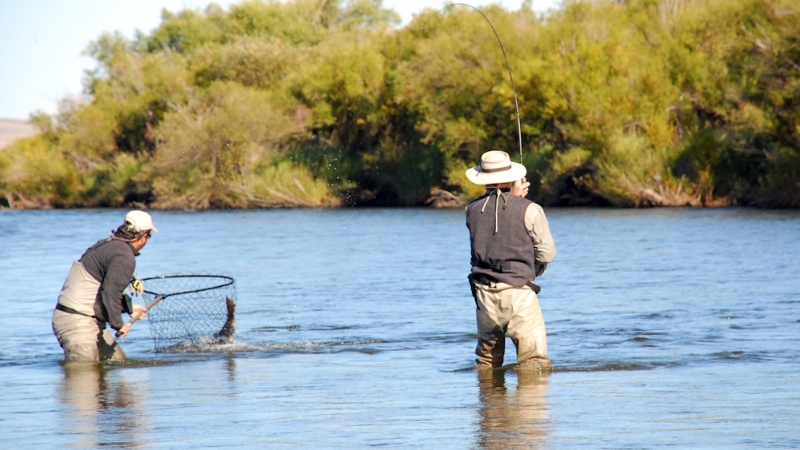 By late August the rivers are clearing and the fishing is peaking. 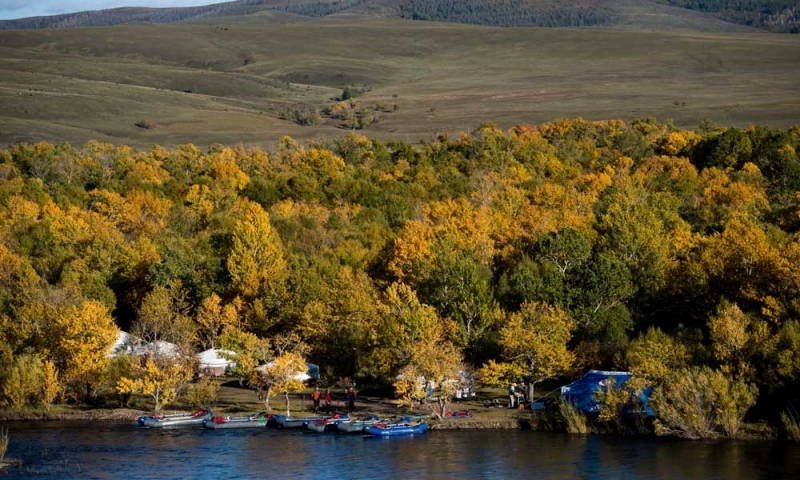 By the end of October, Mongolia is starting to get too cold for fishing. 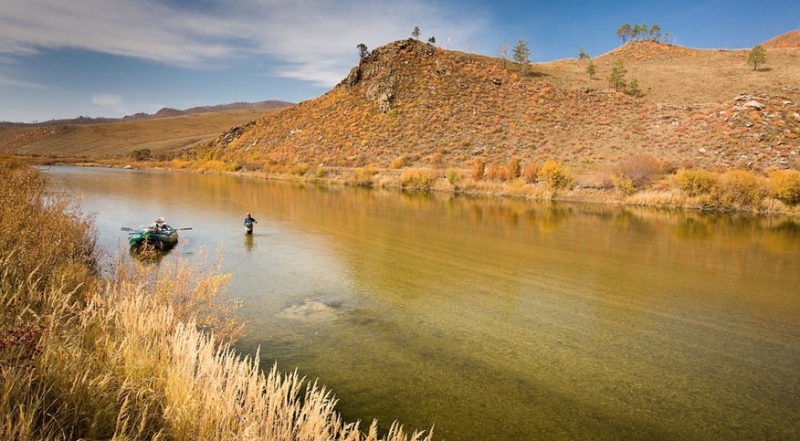 We will not take a chance that the rivers may be cloudy by going earlier in the season, you are traveling across the globe to go fly fishing in Mongolia – do it during the prime time! Weather: The weather is usually clear with warm days and cool nights. 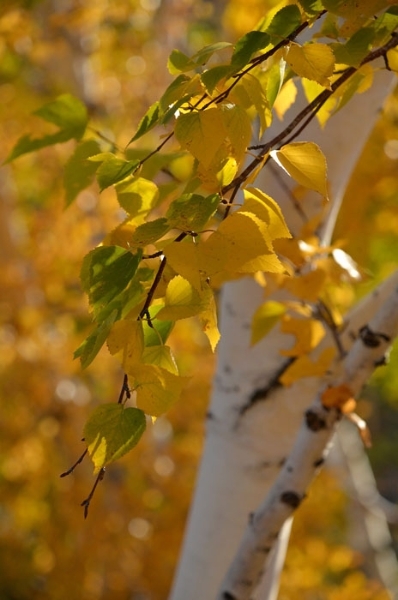 Rain is more likely in the early season and cold more likely later in the season. It is not uncommon to experience a couple of cool days (40’sF/5’sC) in early September and warm days in early October (70’sF/20’sC). Please take a look at the photo and video galleries related to these fly fishing trips to Mongolia. 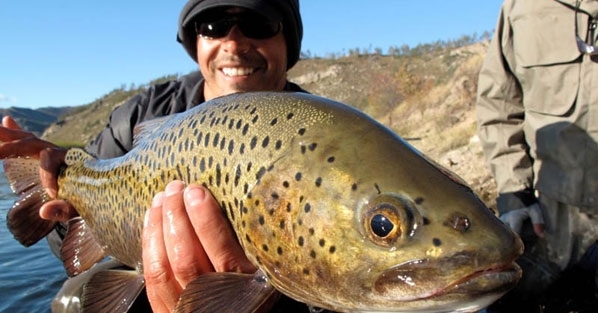 There’s plenty to do for folks not necessarily interested in fishing or floating. 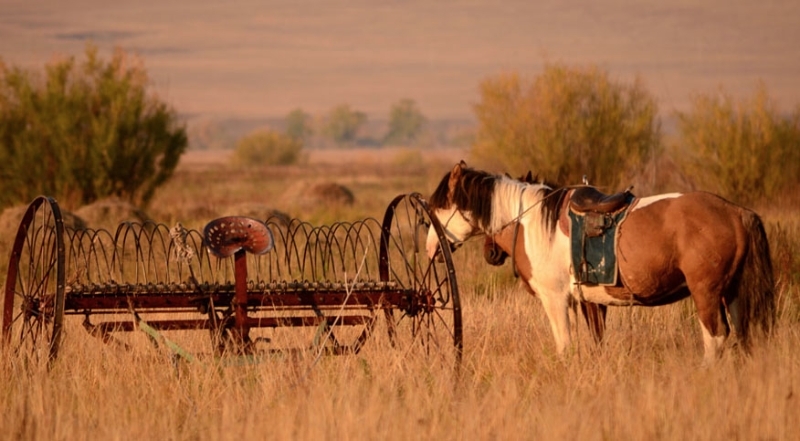 Horses, hikes, and visits to local cultural sites are all easily arranged. 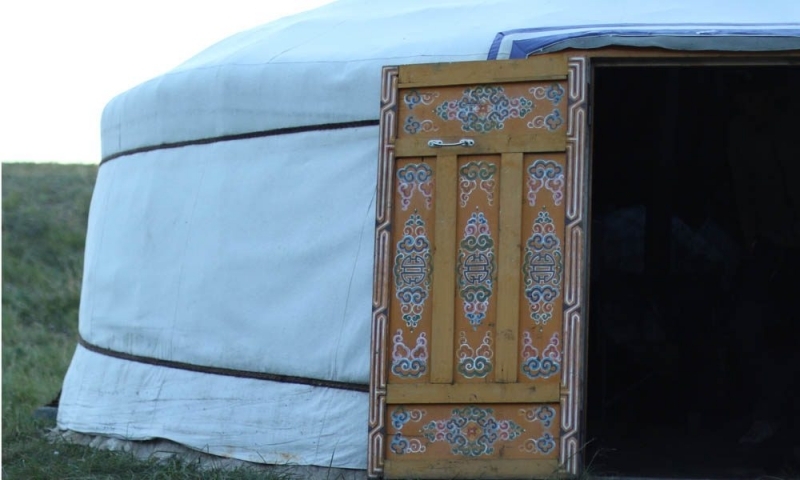 We can organize single or multi-day journeys into the backcountry or the rest of Mongolia for you and/or your companion. 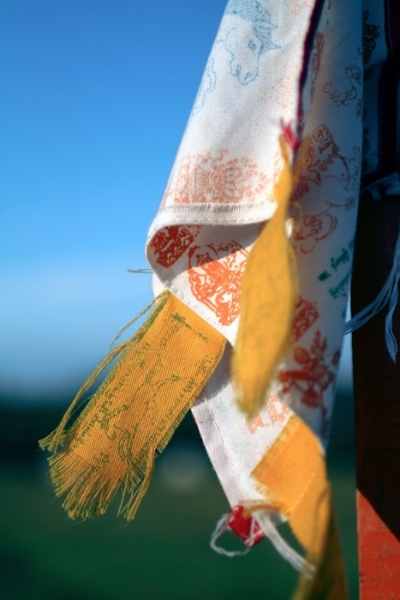 Guests frequently arrange for trip extensions to visit the museums, monasteries and other cultural sites of Ulan Bator. 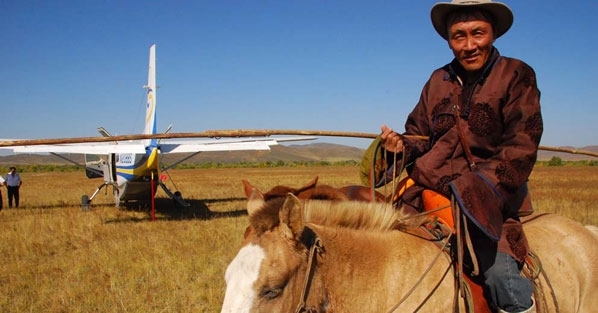 Guests fly to the river via helicopter or fixed wing plane. Although the river’s isolated, travel from Ulan Bator to camp requires only about an hour flying time. 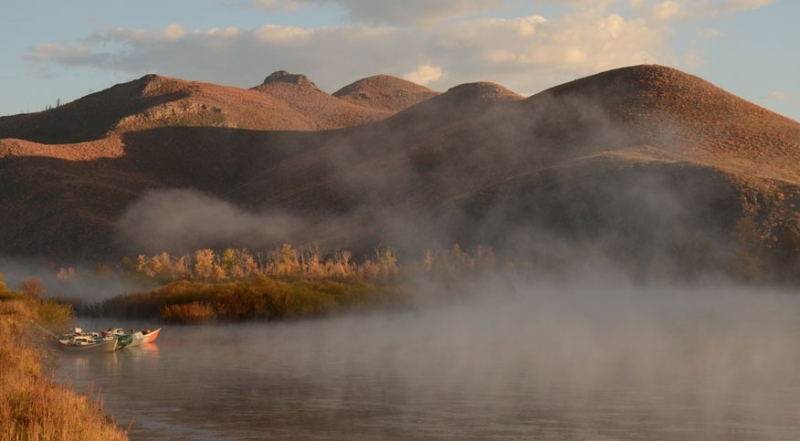 Usually you’re on the river and fishing the morning after your arrival in Mongolia. 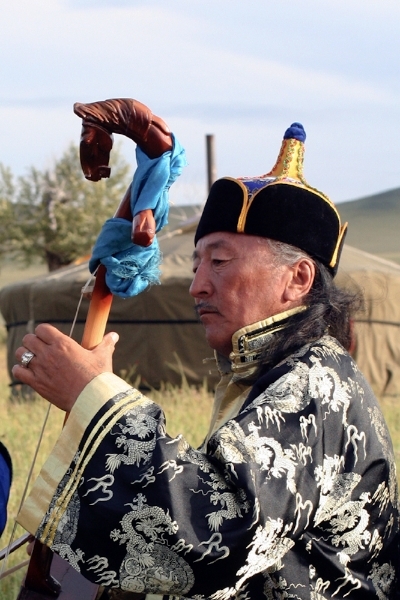 A Mongolian nomad in full dress. 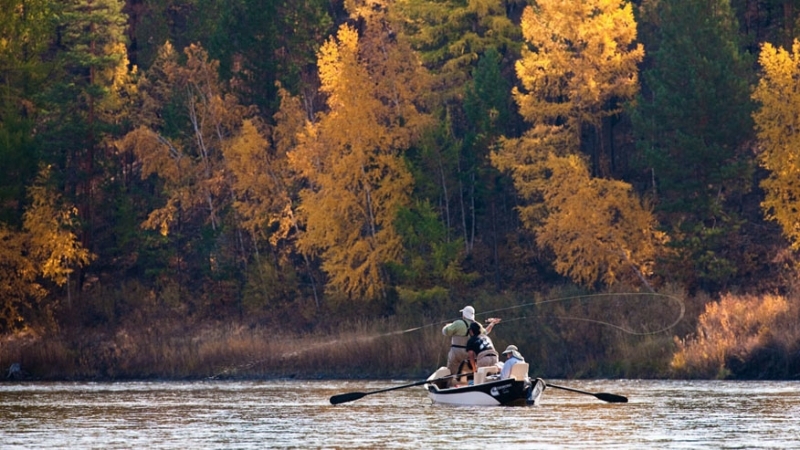 Fishing permits:. 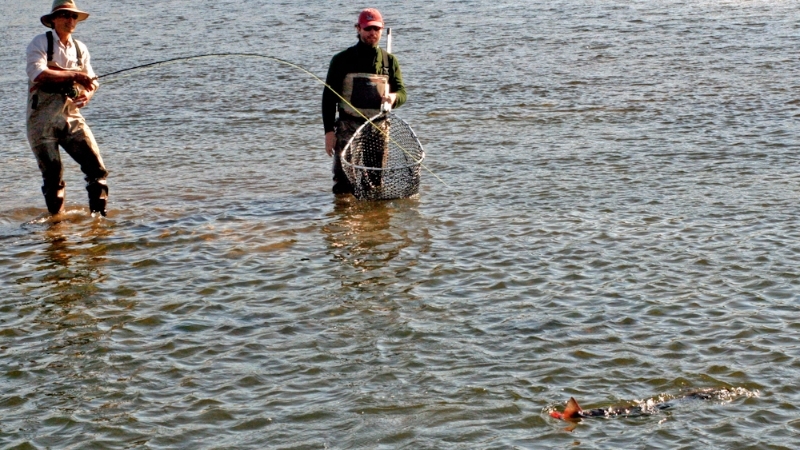 Mongolia requires a variety of permits for fishing. Failure to have the appropriate paperwork may result in heavy fines, confiscation of equipment, and expulsion from the country. We arrange for all permits in advance and have long-term operations and conservation agreements with the local governments. 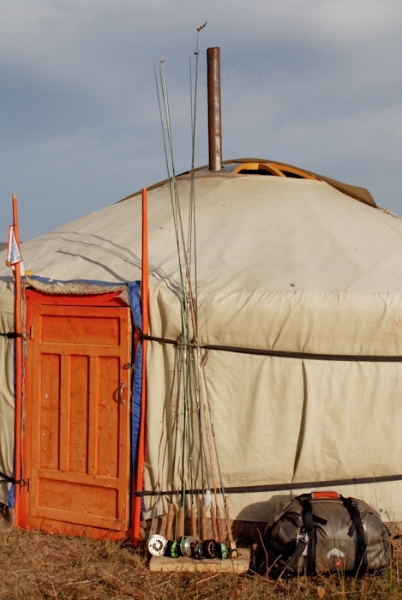 Office Support: Our large Nomadic Journeys office is located right in downtown Ulaanbaatar (across the street from the Museum of Natural History). 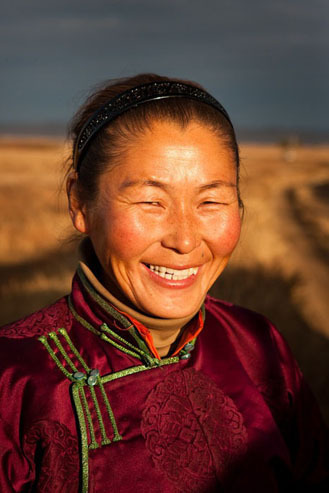 Our experienced Mongolian guides can provide assistance in more than a dozen languages. These folks support literally hundreds of international guests each year. Before your departure and again upon your arrival, we will supply you with contact numbers for key staff that will be available around the clock. International Flights: Ulaanbaatar (ULN) is serviced by regular flights from Beijing (Air China and MIAT), Moscow, Irkutsk (AeroMongolia and MIAT) and Seoul (MIAT/Korean Air/AeroMongolia) and Tokyo (MIAT). If you would like assistance with making travel arrangements, please contact us. We have timed these trips to coincide with the most convenient air flight schedules to/from Mongolia through Beijing, Seoul and Moscow. You can anticipate paying approximately $1,500 for a round-trip, economy class flight from the US or Europe. When we last checked, Korean Air was accepting Delta award points for travel to Mongolia. United, Lufthansa, Northwest and several other major carriers service Beijing. 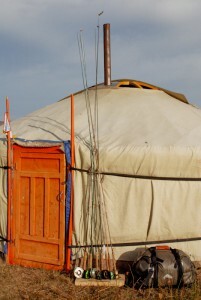 Visas: US citizens do not require a visa for entry to Mongolia. Most other nationalities must secure a visa prior to arrival. Please contact us regarding the latest requirements. Currently, South Korea does not require a visa for most international visitors. Passengers transiting through Russia do not need a visa. UK and US citizens transiting through China generally need a visa for a stay of over 24 hours, most others do not. All foreign nationals staying in China or Russia need a visa. If you need a visa for traveling through these countries, please be sure to secure a double entry visa prior to departure. Transit Overnights: Flights through Seoul and Beijing do not generally require an overnight stay. 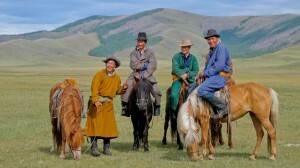 However, many guests decide to spend time in Beijing on their way to/from Mongolia. We visit Beijing frequently and would be happy to suggest hotels, offer logistical insights and, if you desire, direct you to reputable guides and tour operators. Gratuities: Most guests choose to leave a gratuity of between 7% and 10% of the trip cost. Any tips are customarily given to the head guide on the last evening. 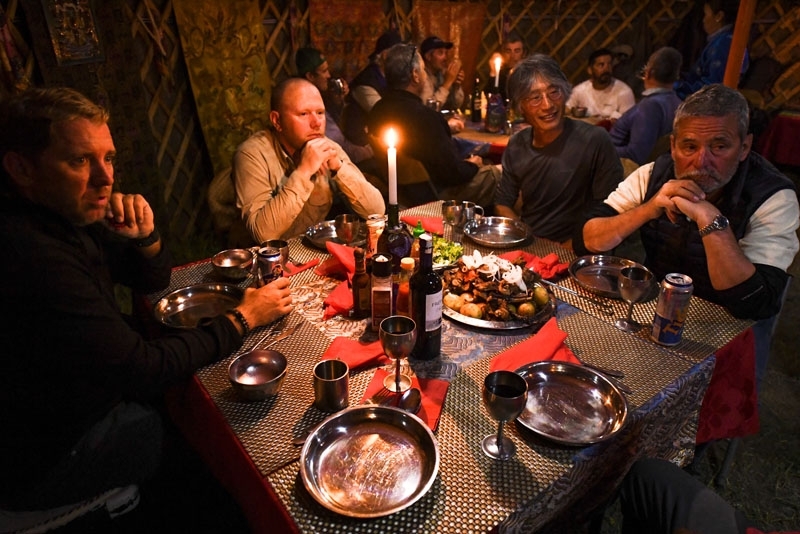 The head guide is responsible for distributing gratuities to guides, drivers, cooks, and other camp staff.